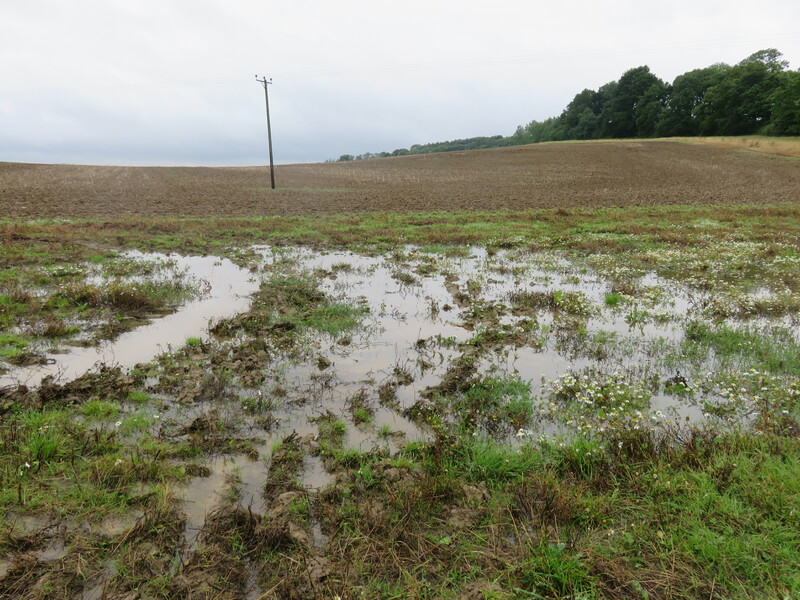 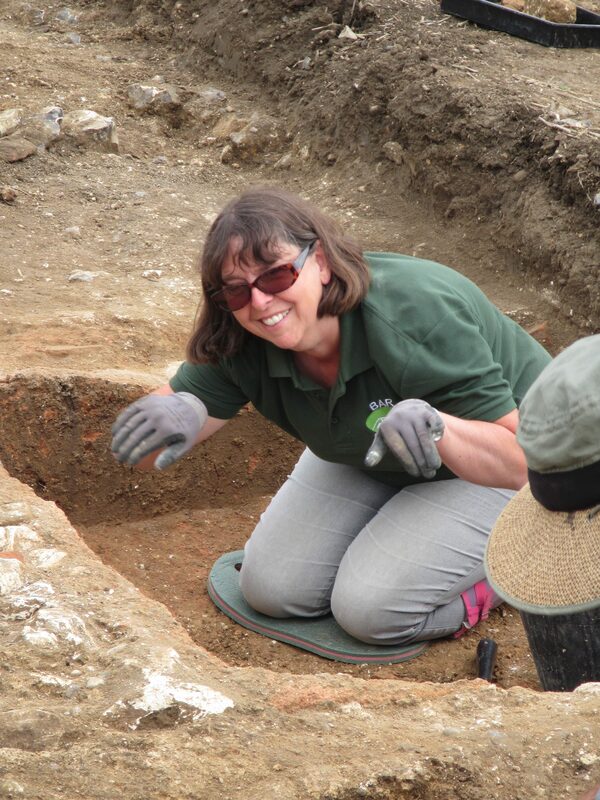 Lindsey digging/swimming out her paddling pool – whoops sorry plunge pool in the en suite. 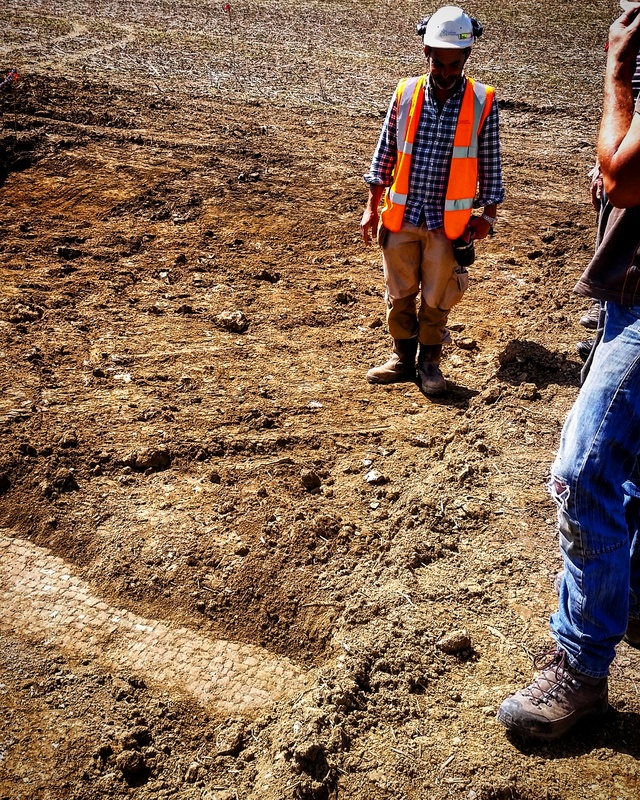 That pool must have had higher sides. 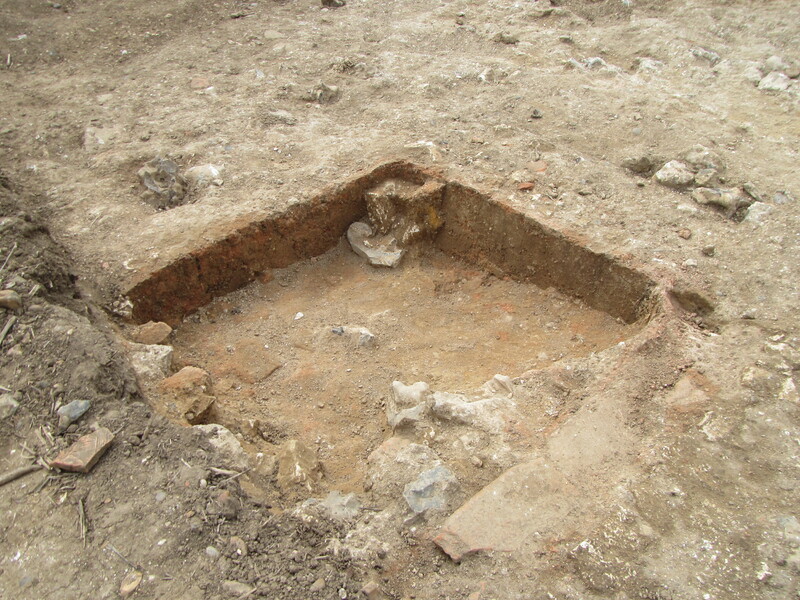 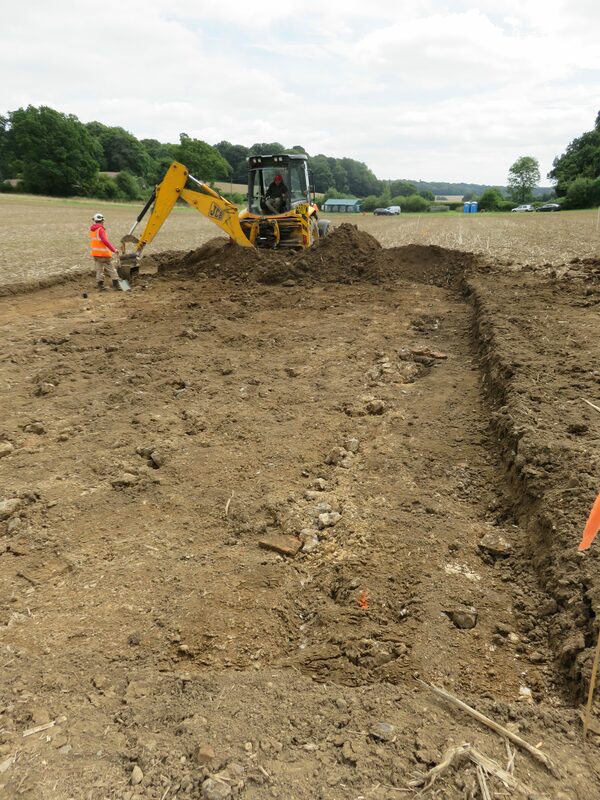 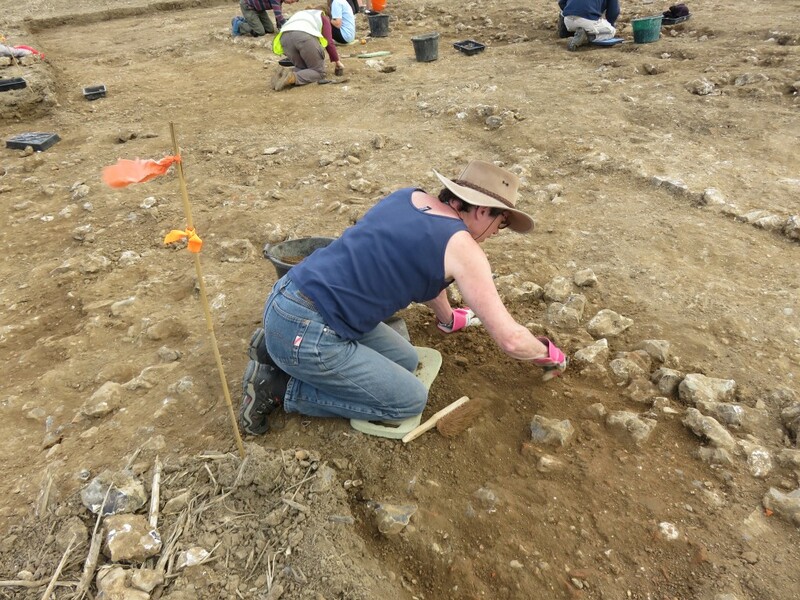 The external wall in trench 4 gradually appears! 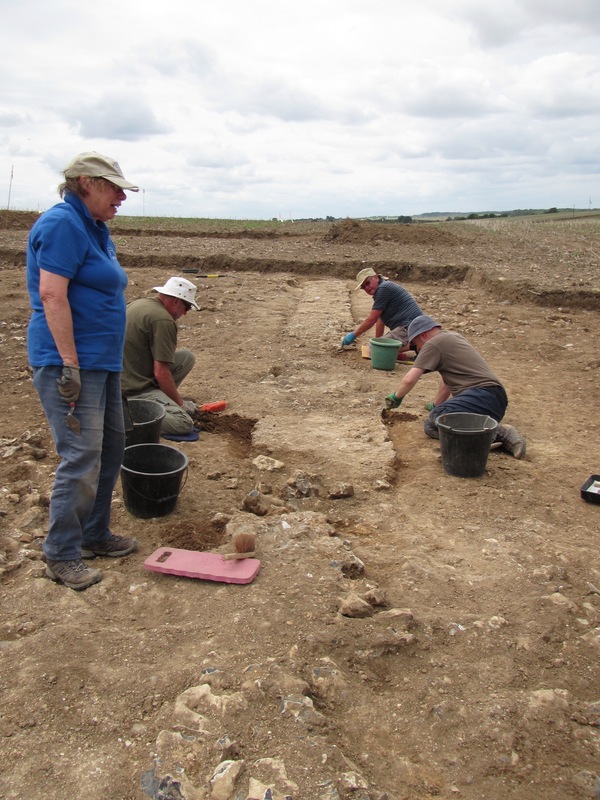 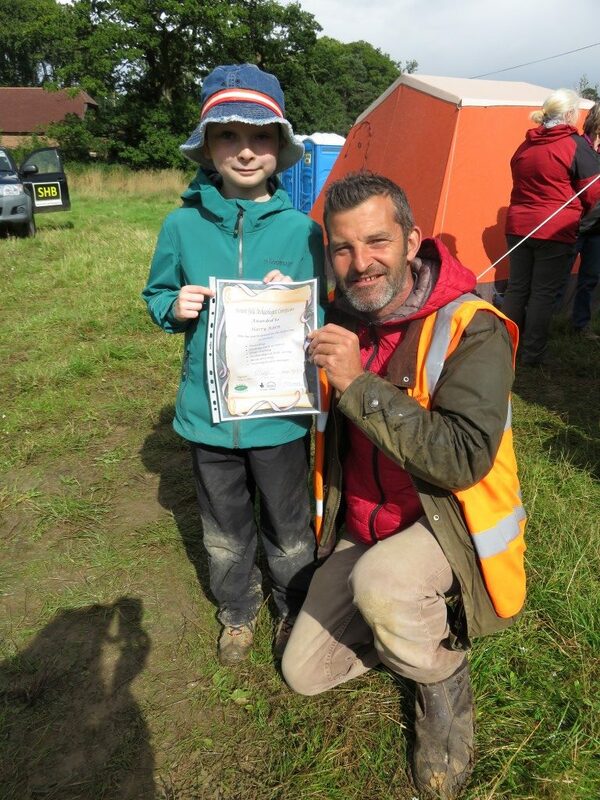 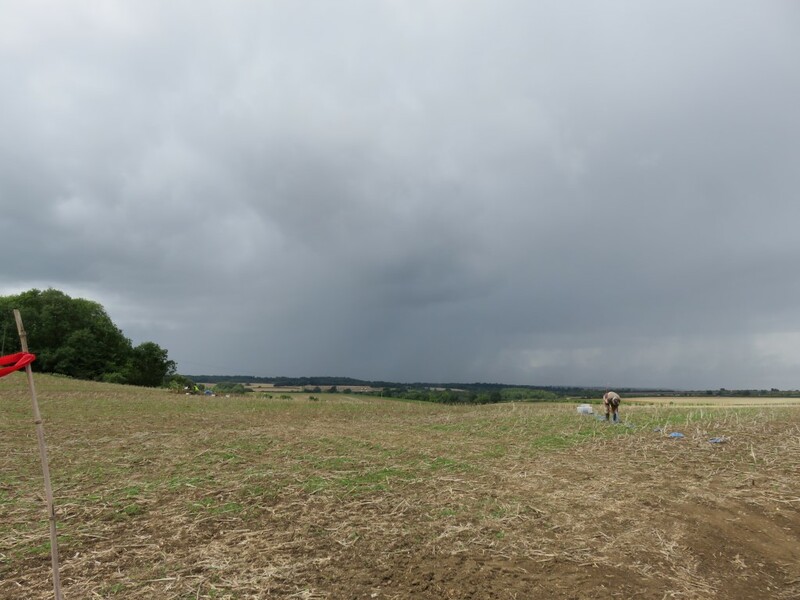 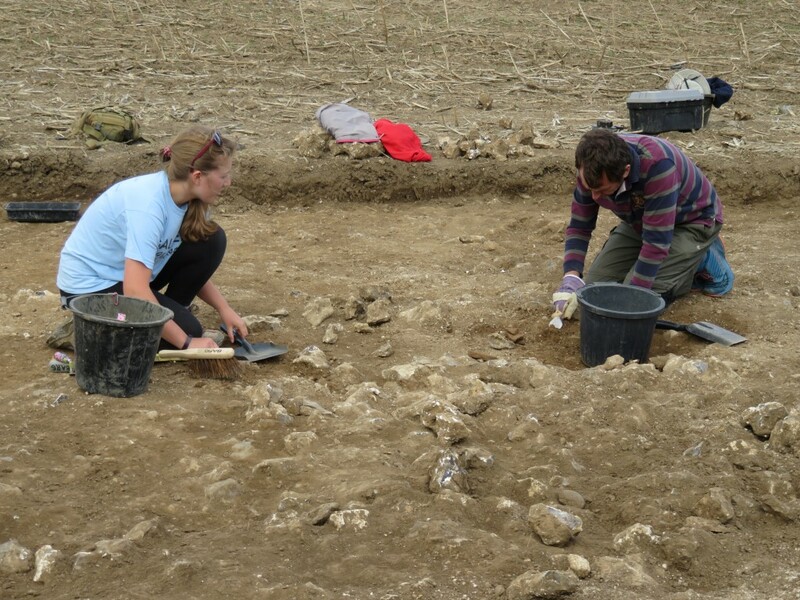 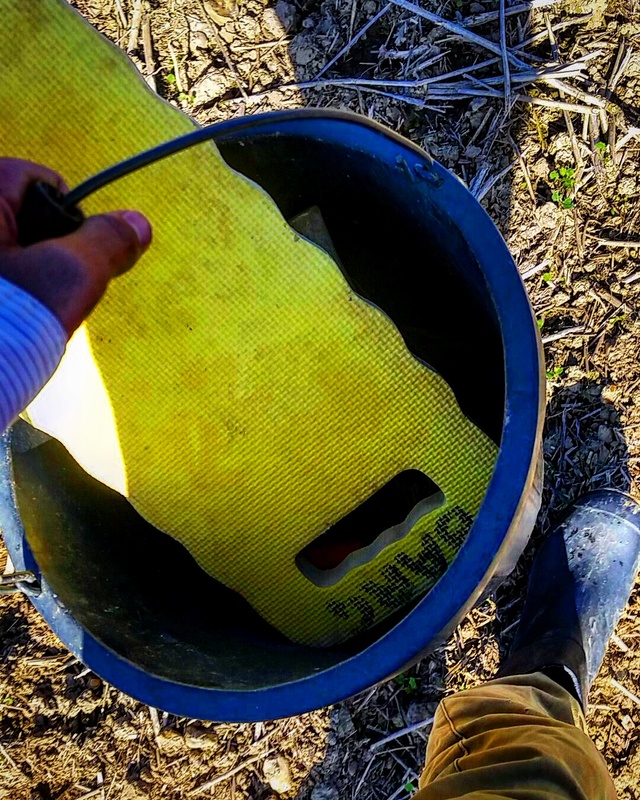 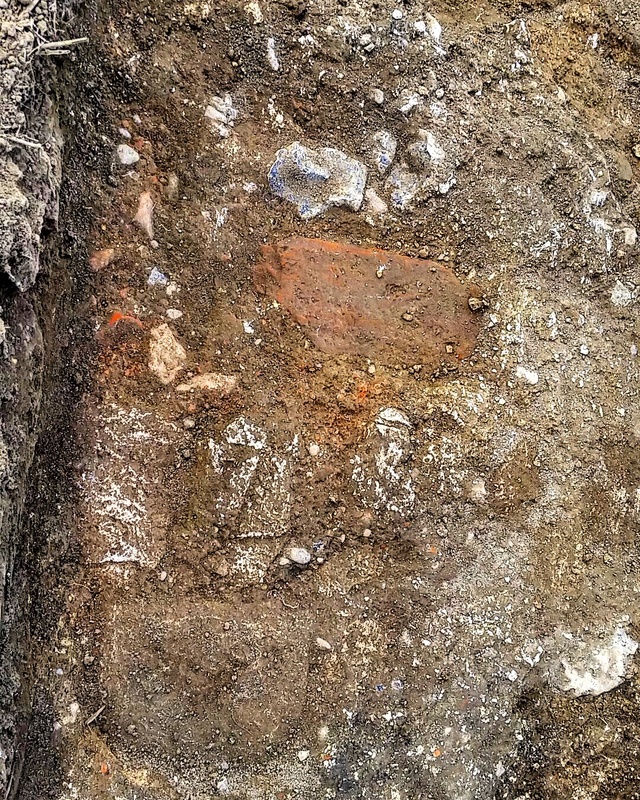 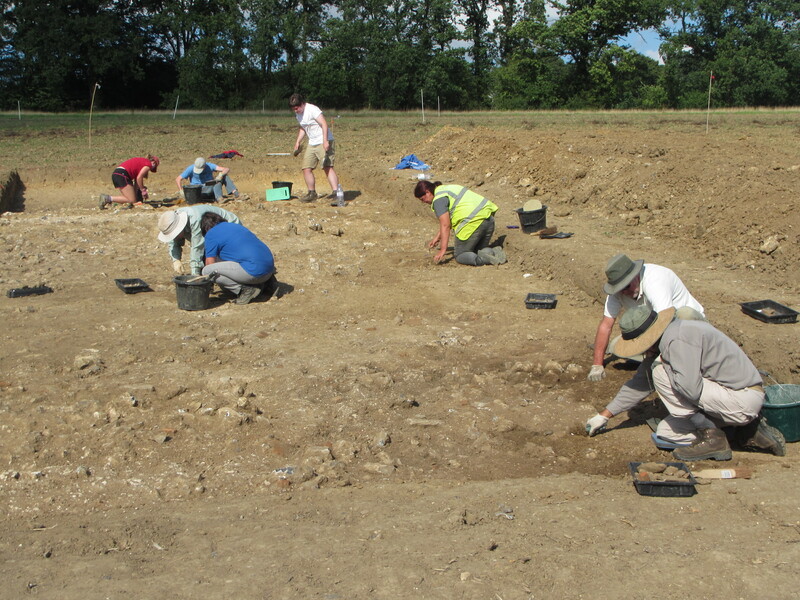 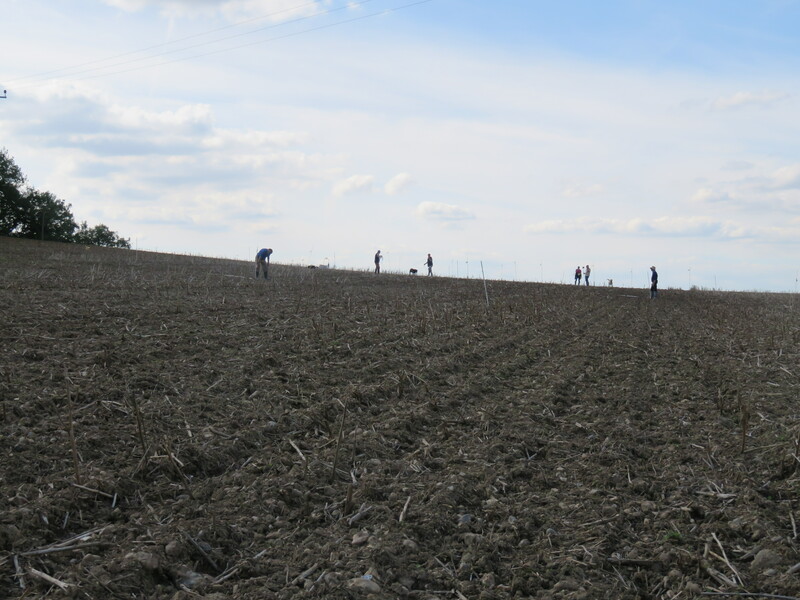 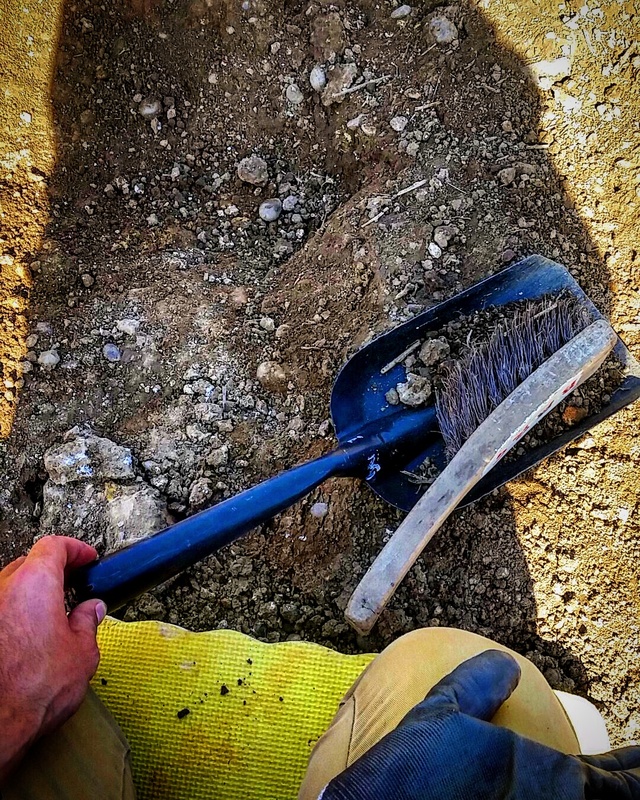 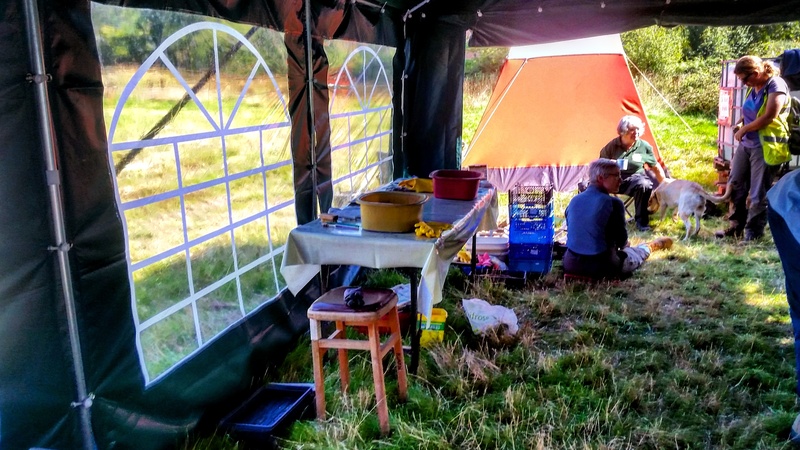 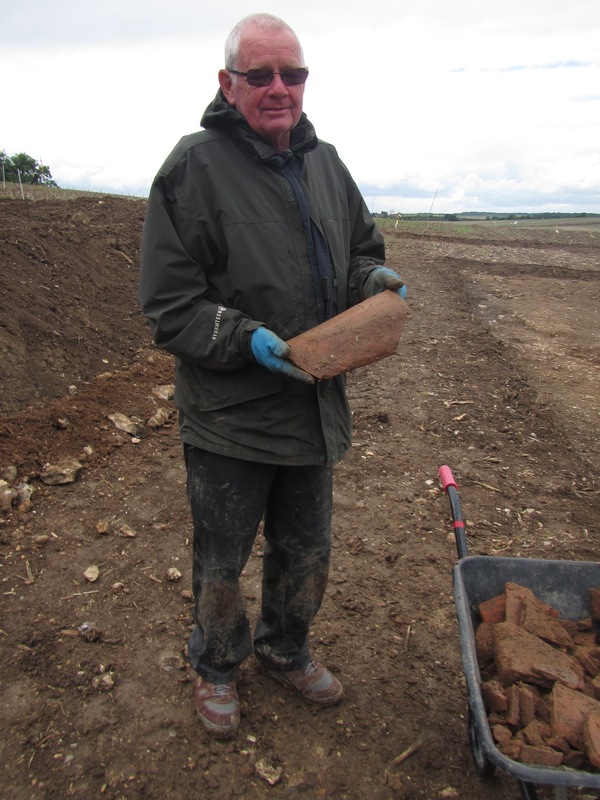 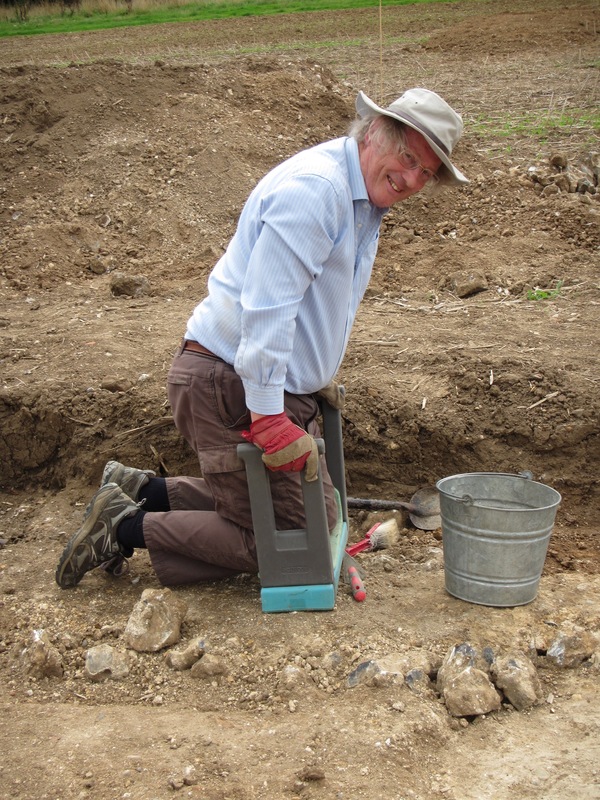 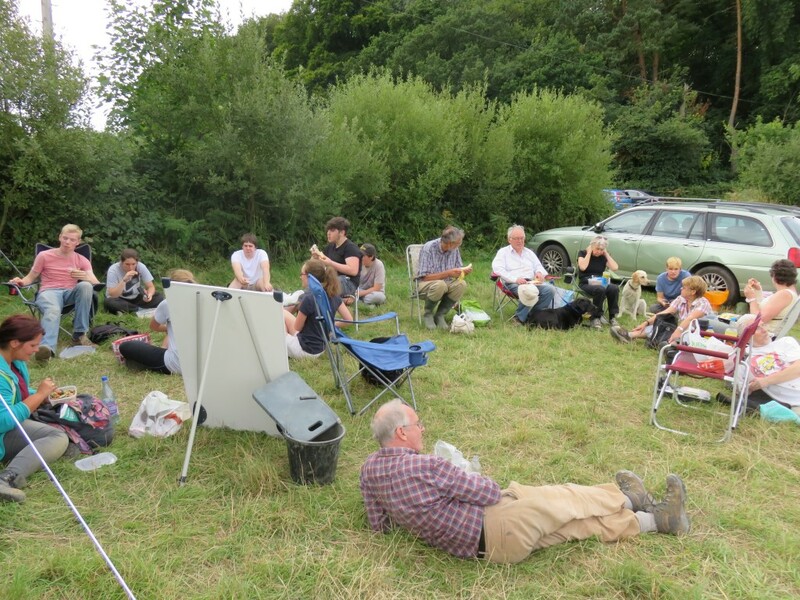 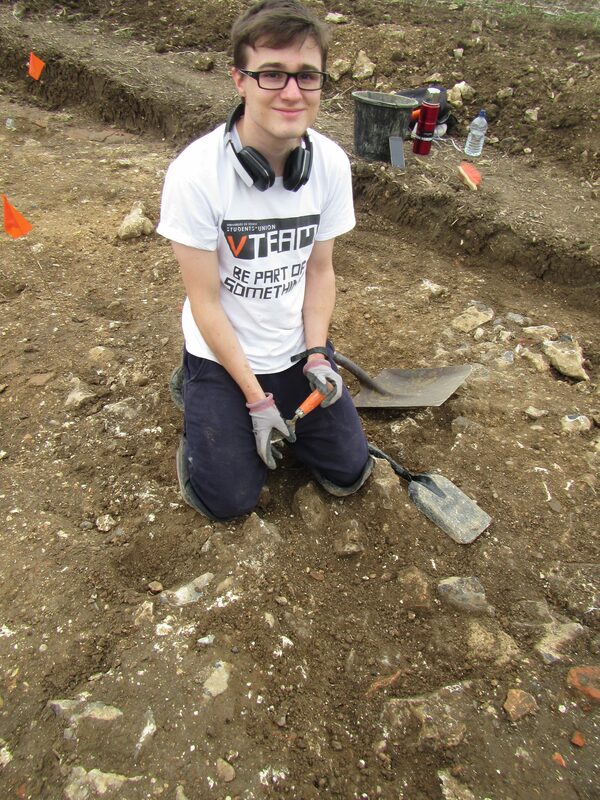 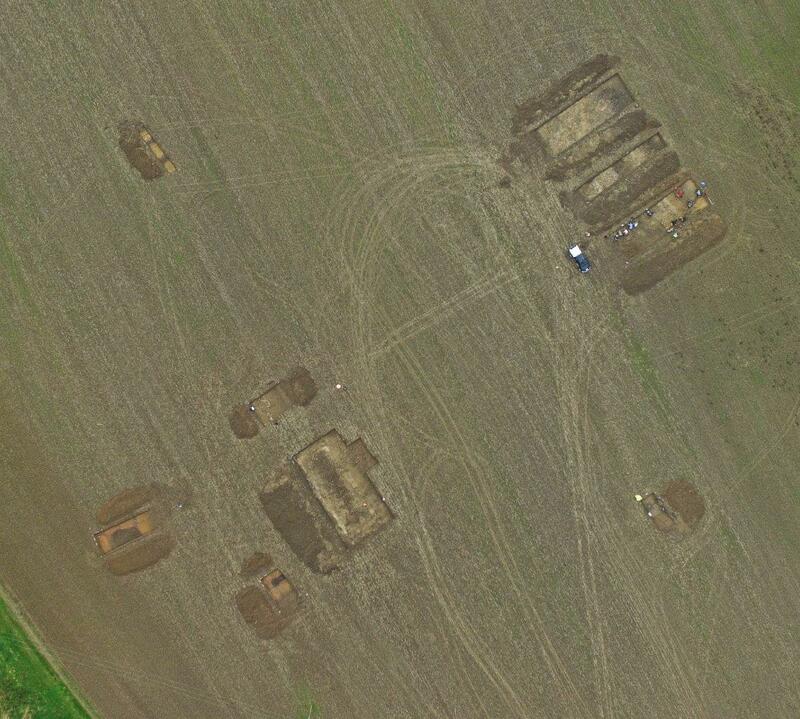 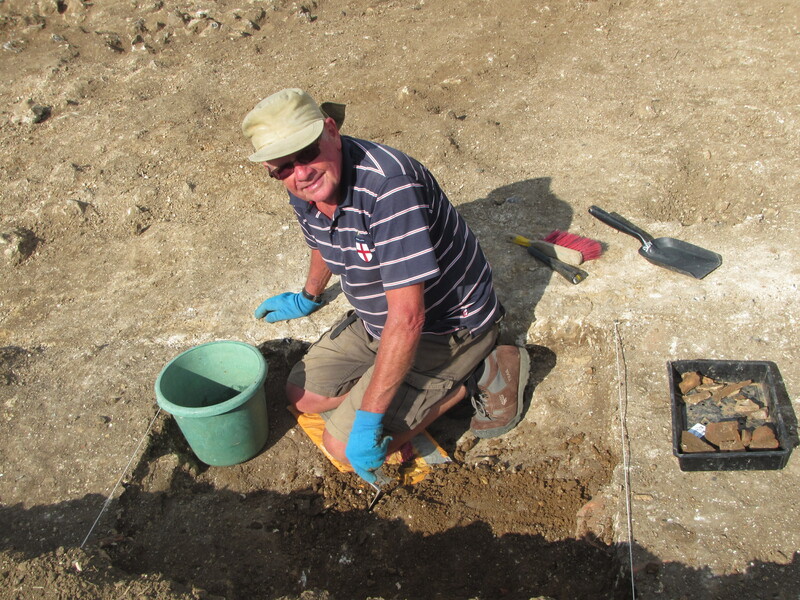 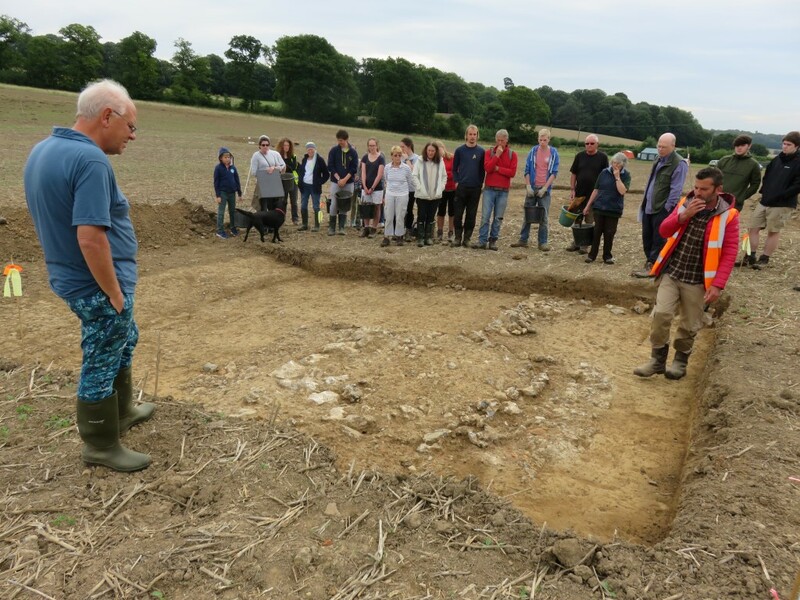 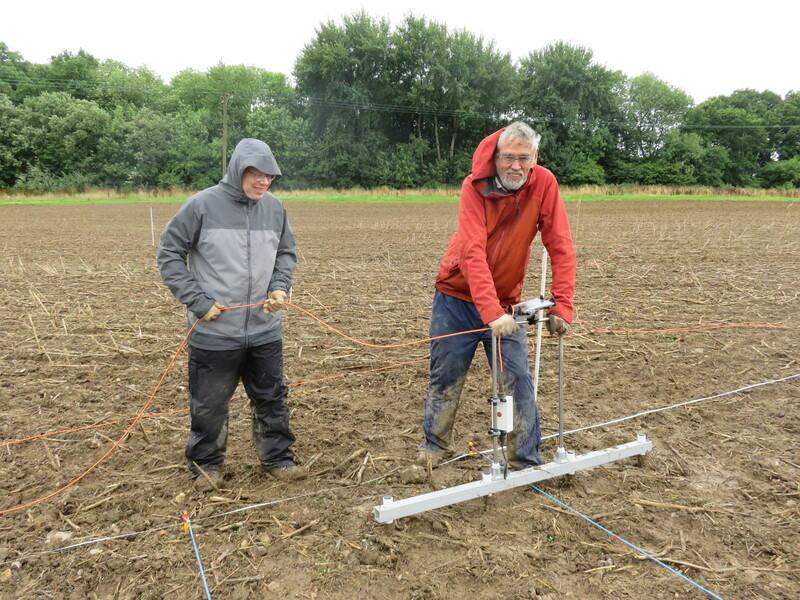 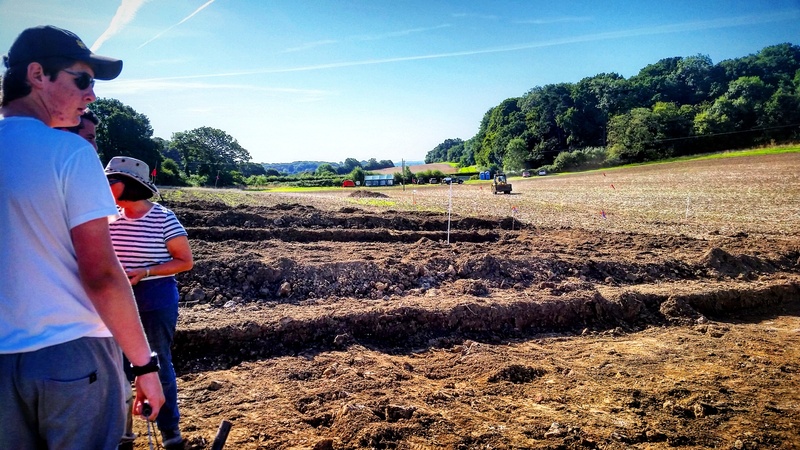 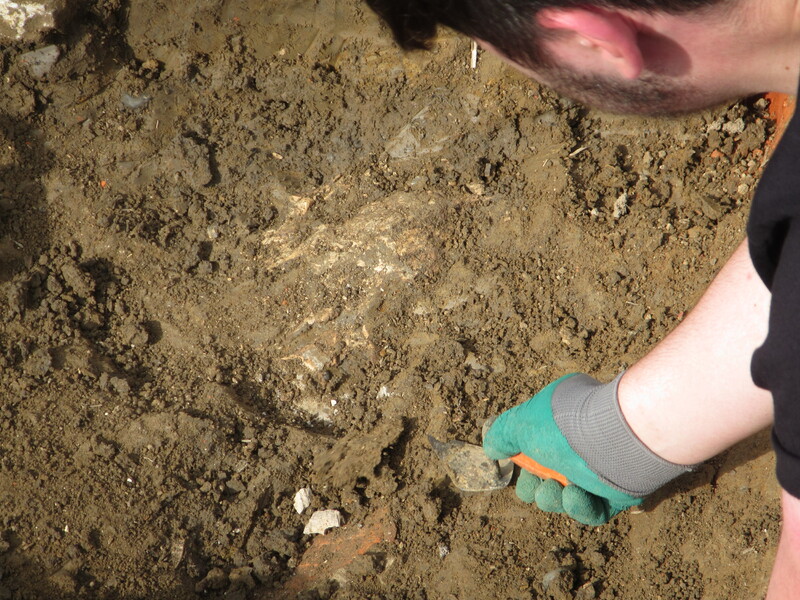 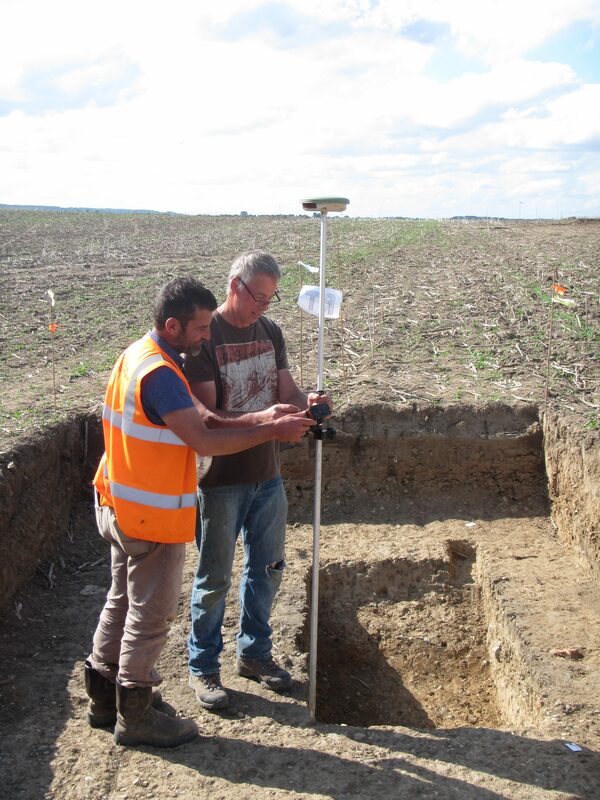 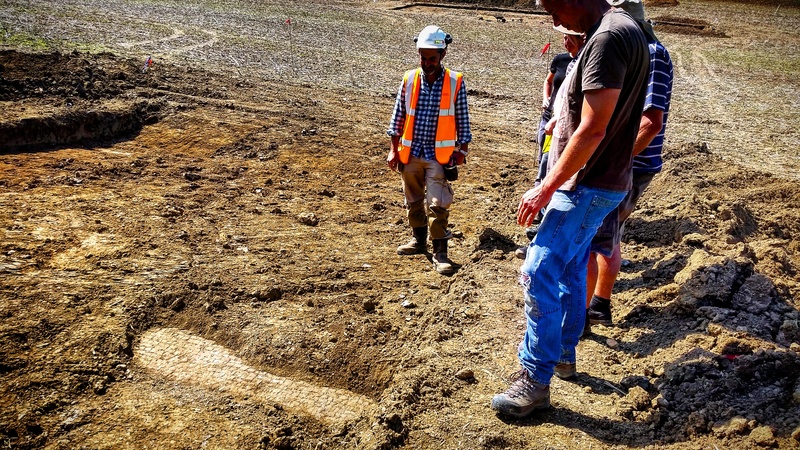 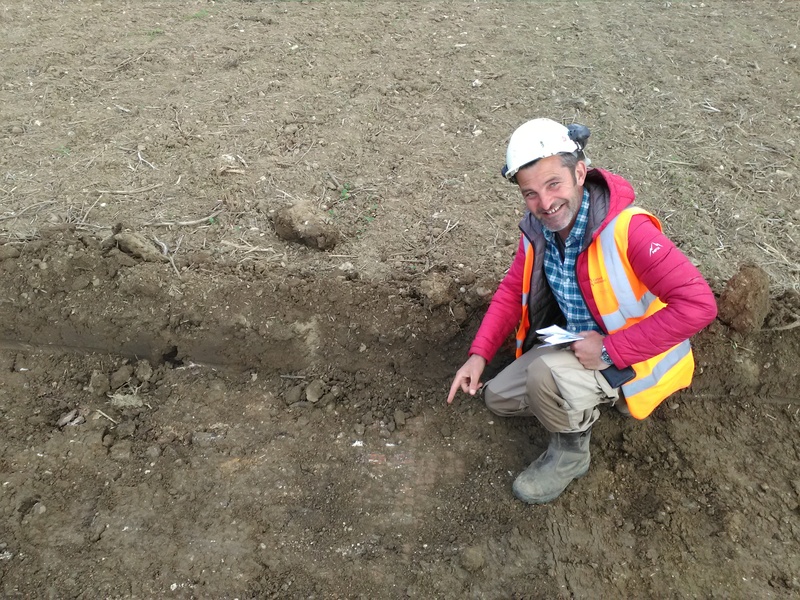 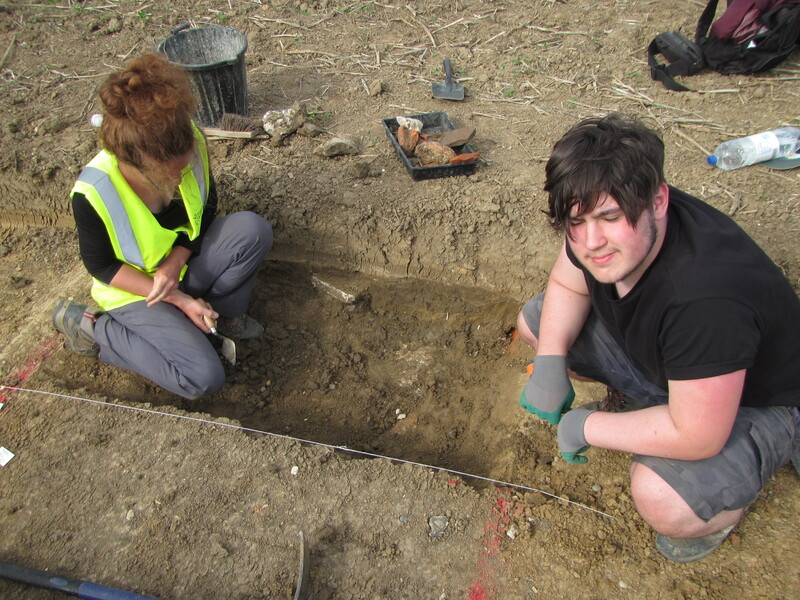 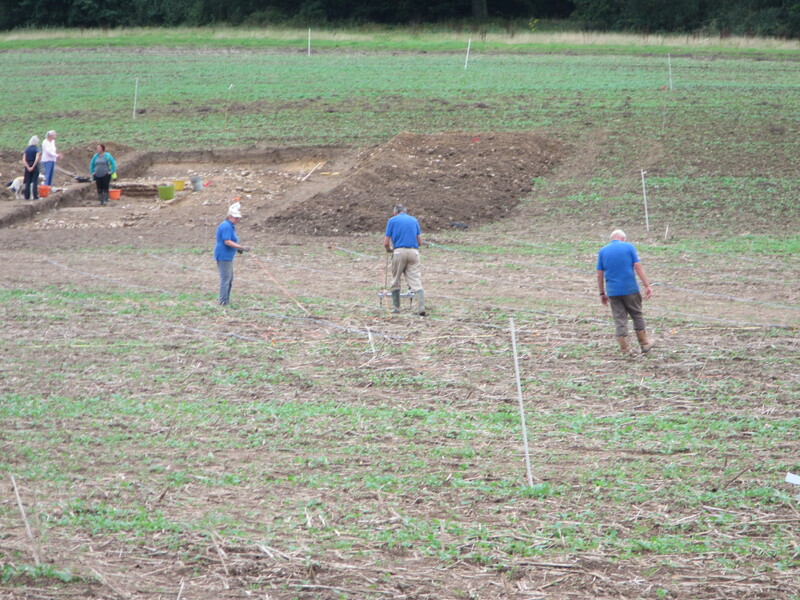 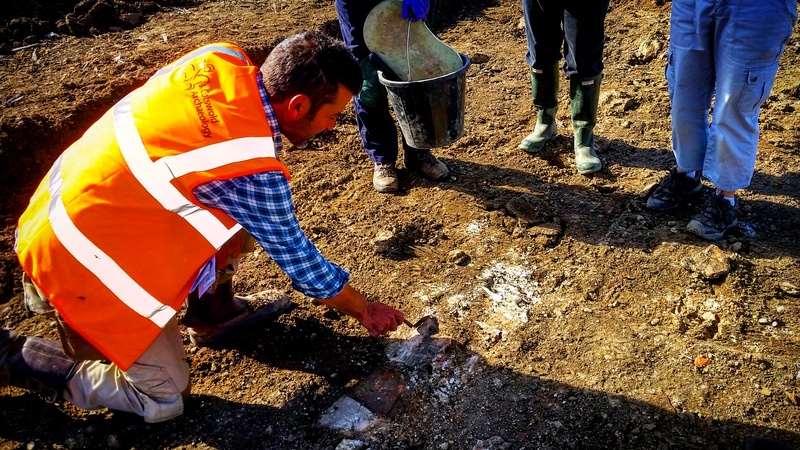 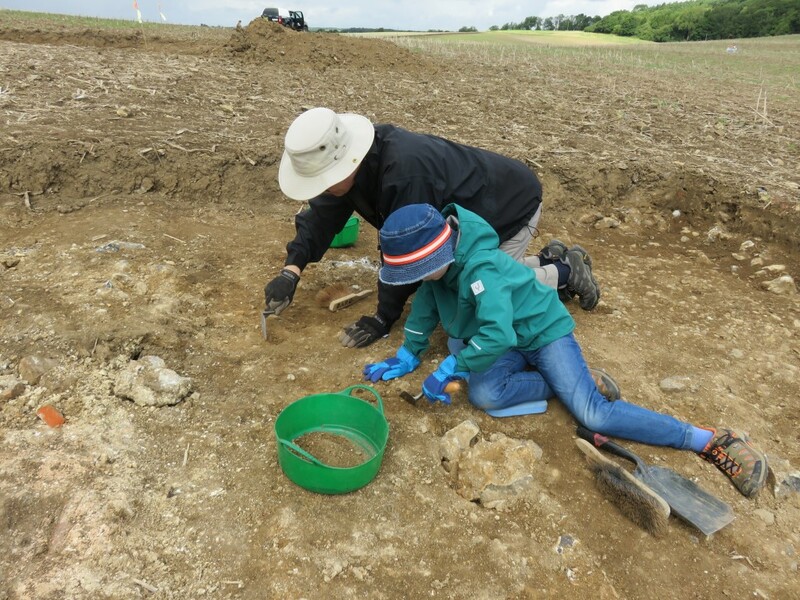 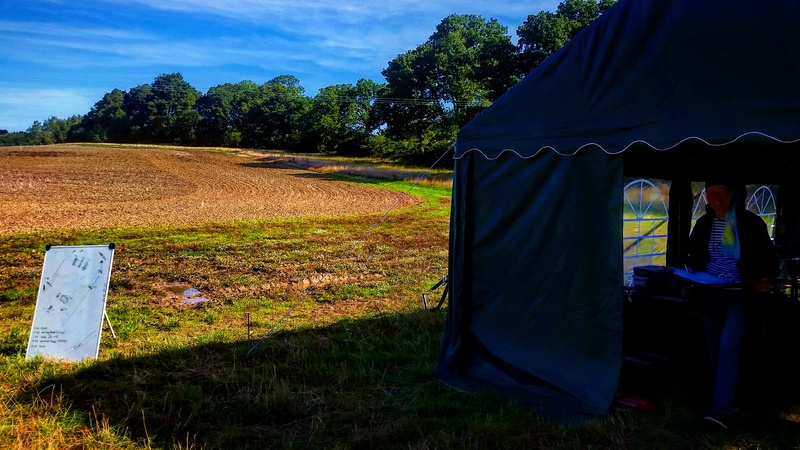 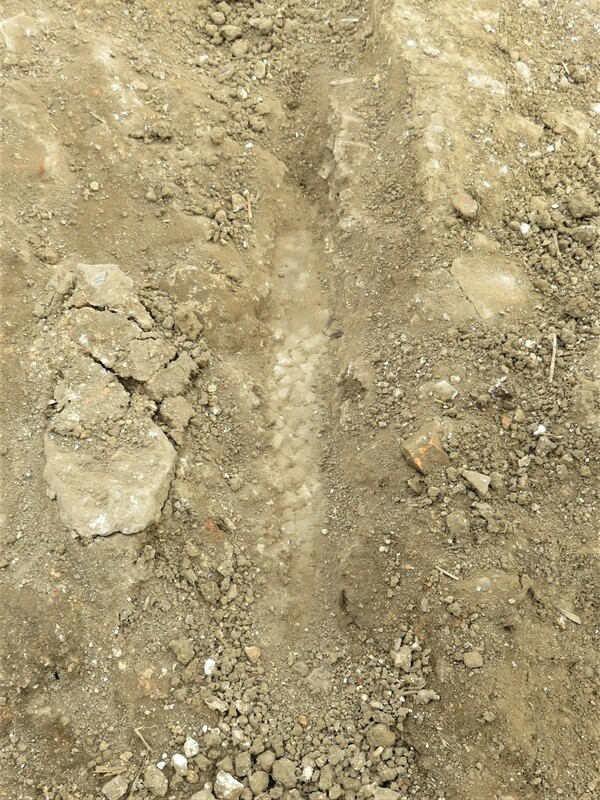 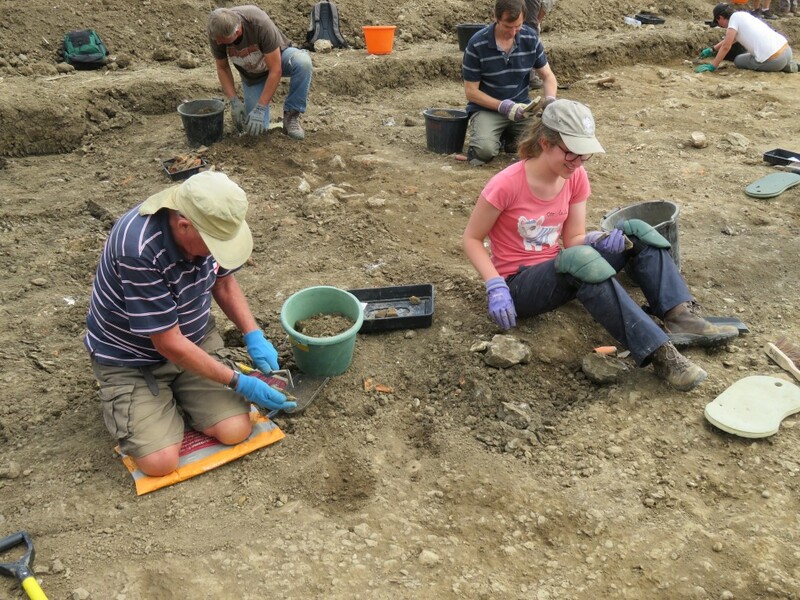 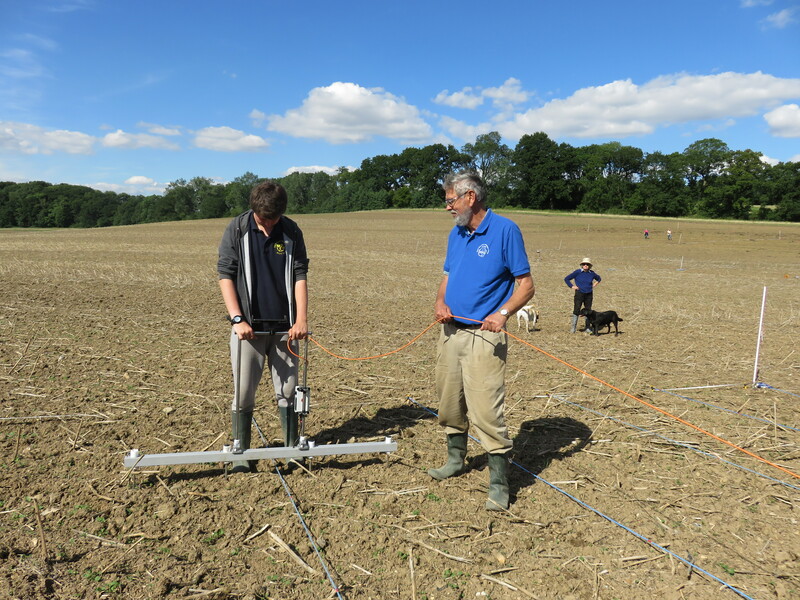 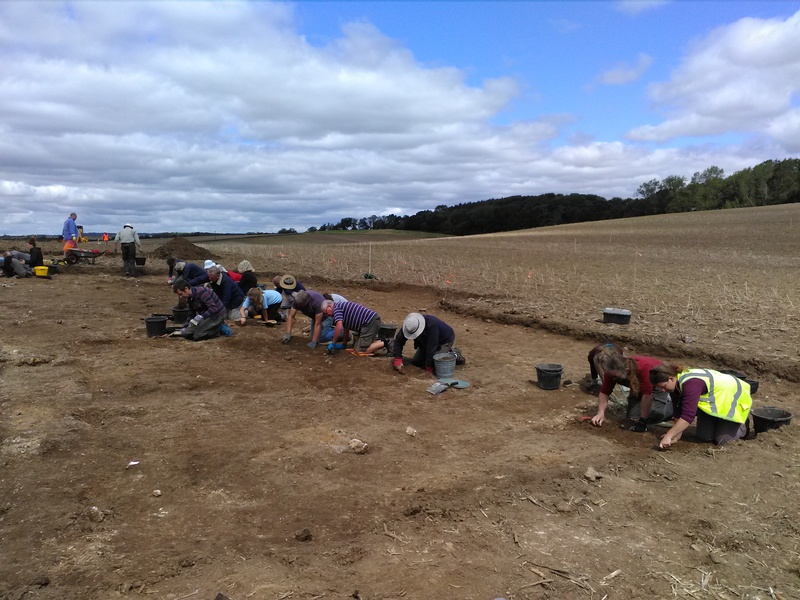 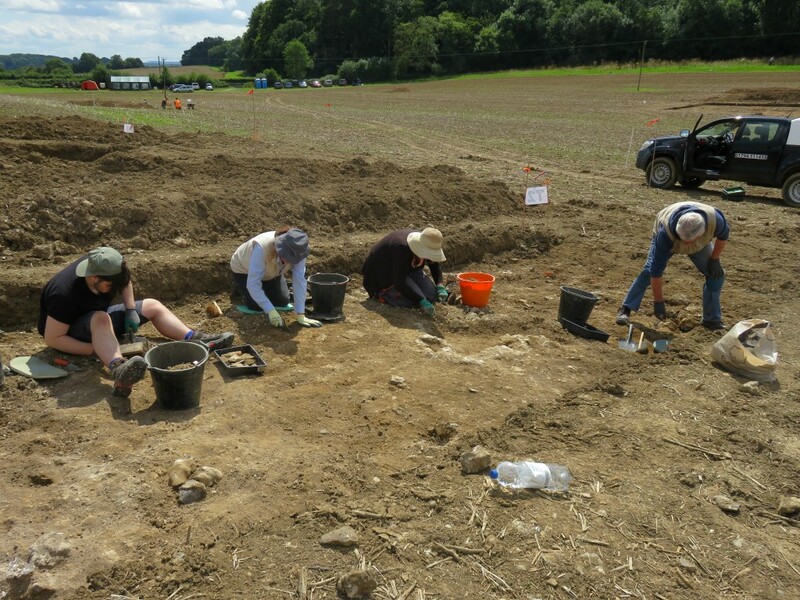 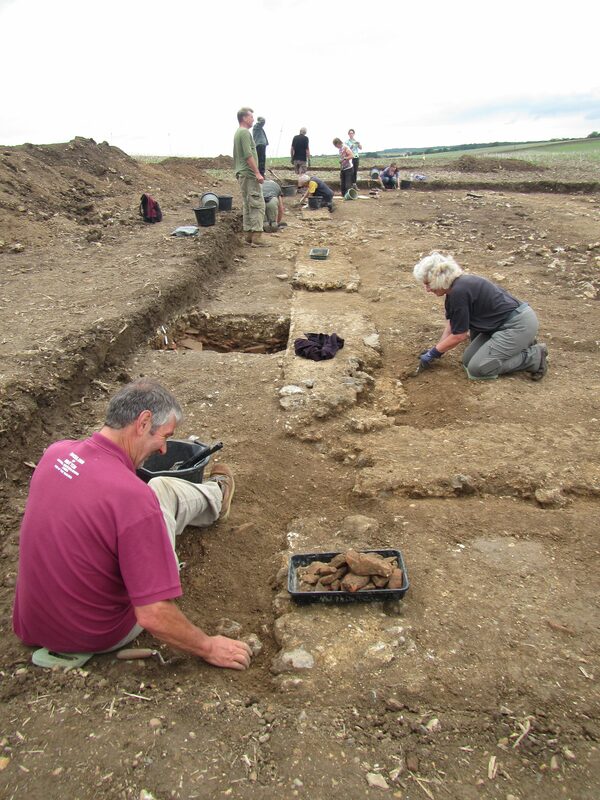 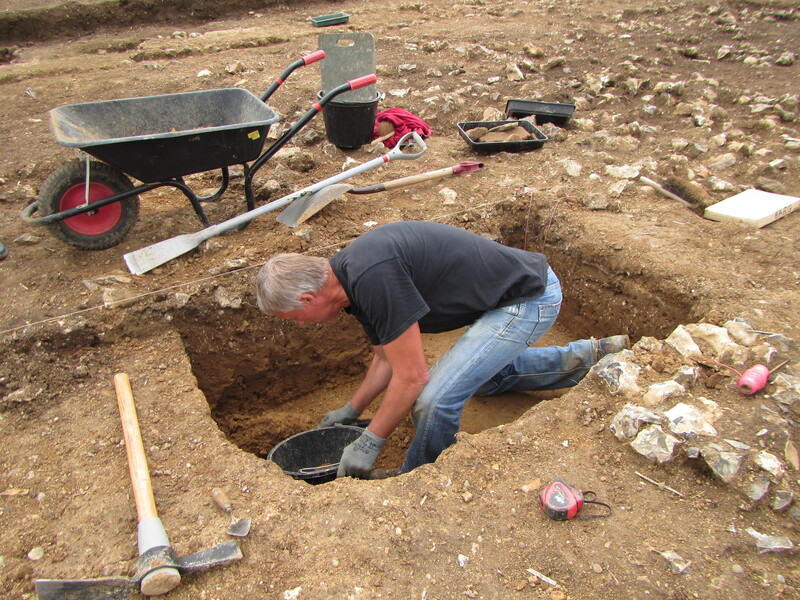 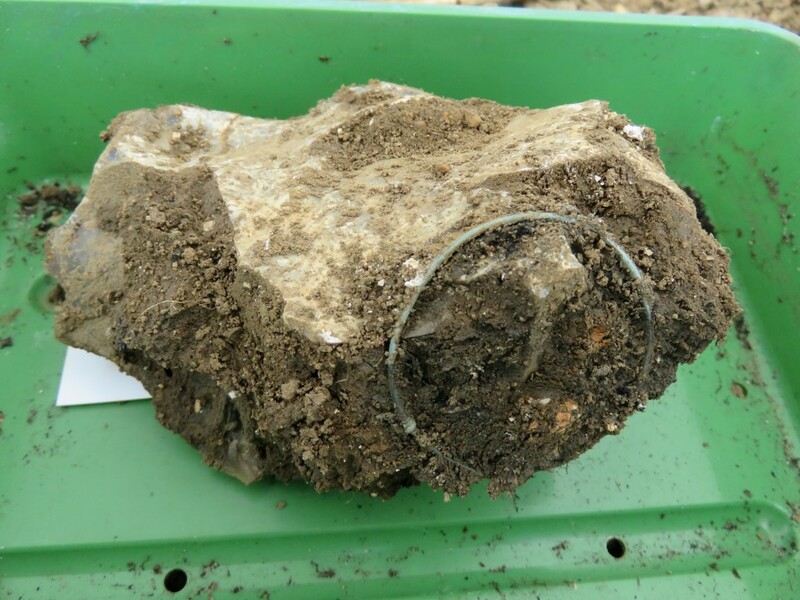 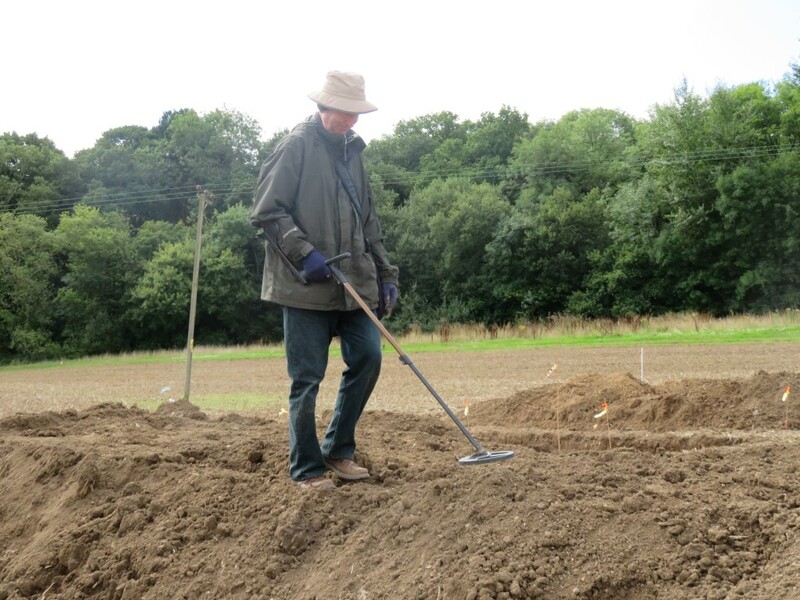 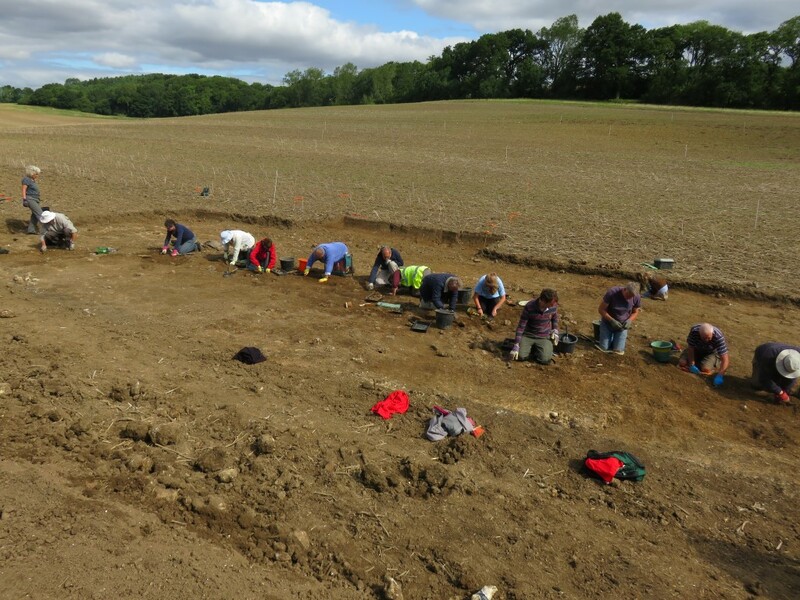 Daily briefing from Matt – Trench 3 beautifully excavated by Agata and Roger. 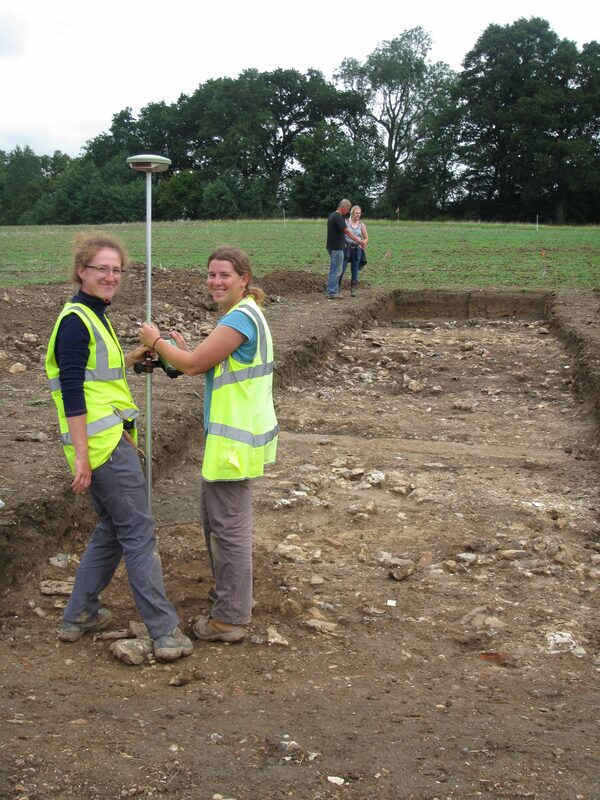 It shows the pad which would have supported one of two of the gate posts immediately opposite the main villa and the wall connecting it to the smaller building. 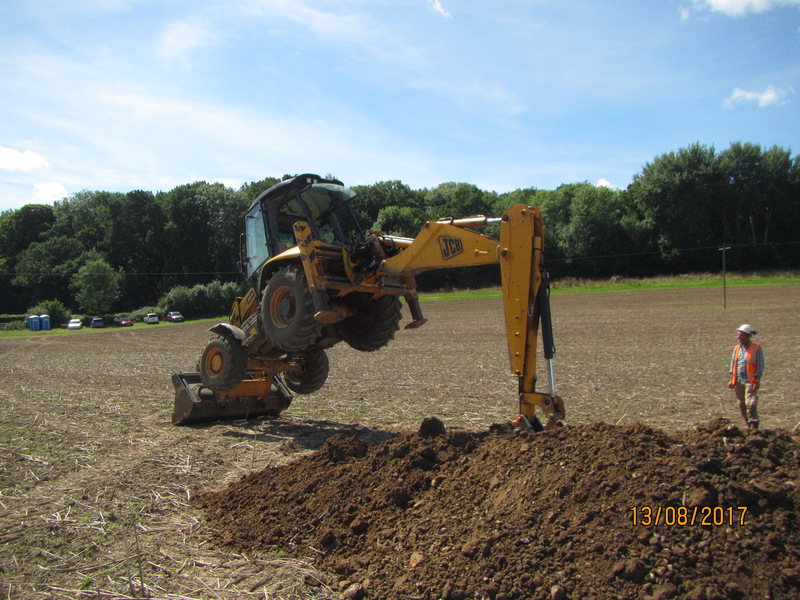 Unusual under leg technique by Tom! 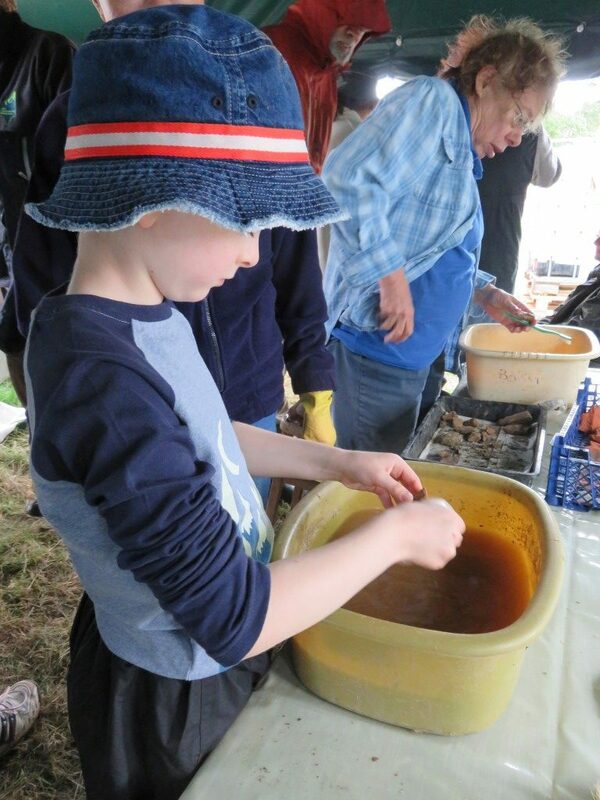 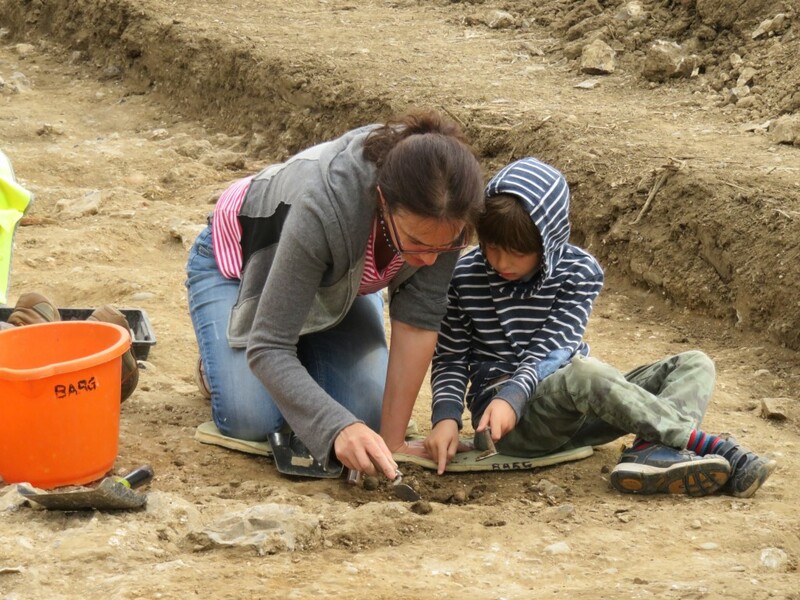 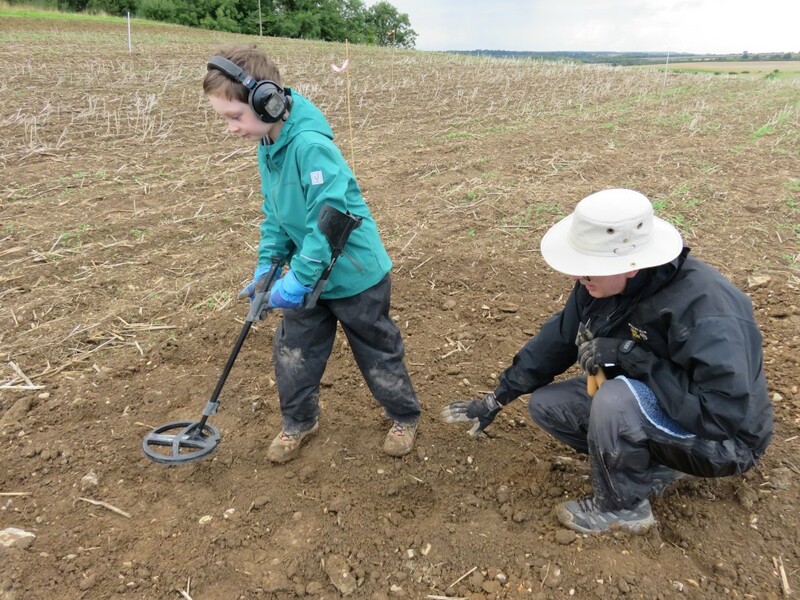 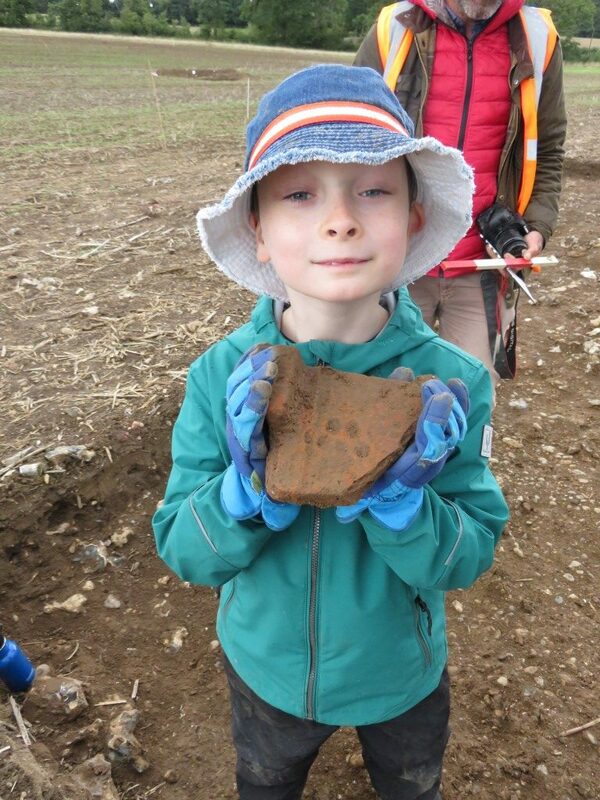 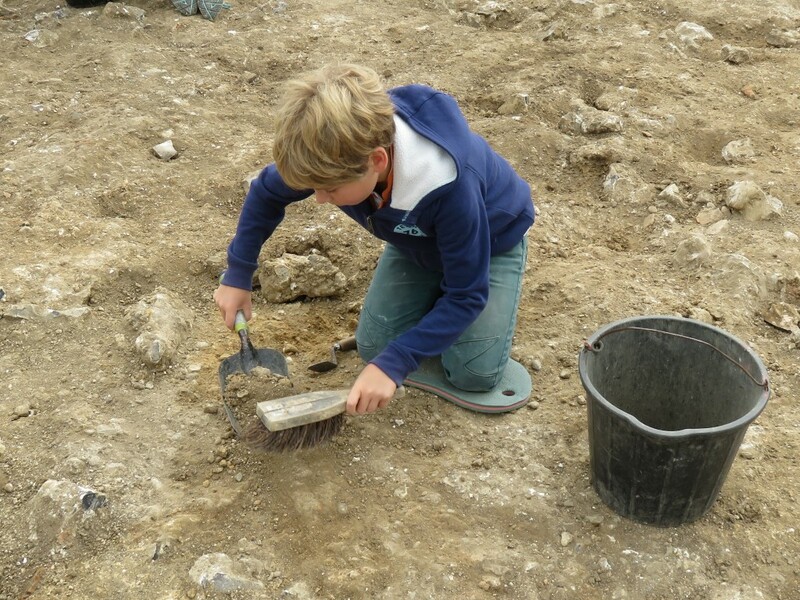 Mum Katharine exploring the archaeology with youngest son Jasper – our youngest volunteer yet! 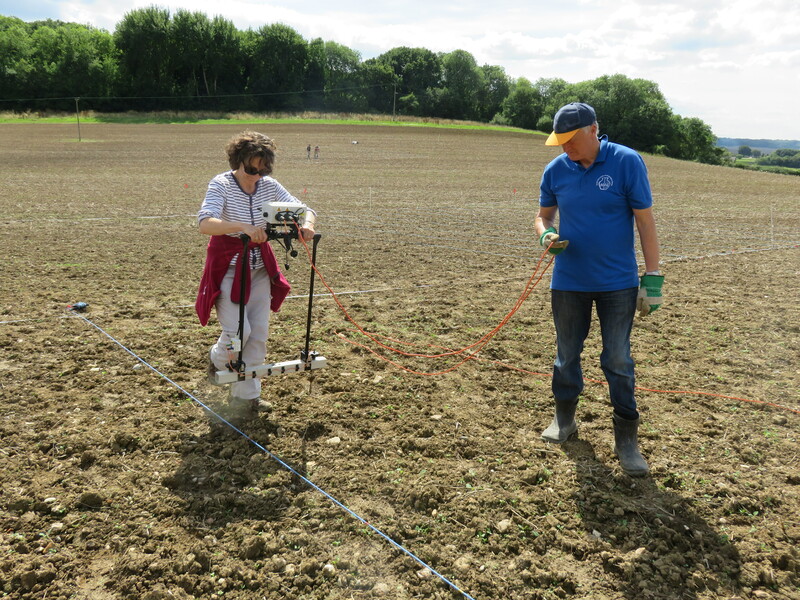 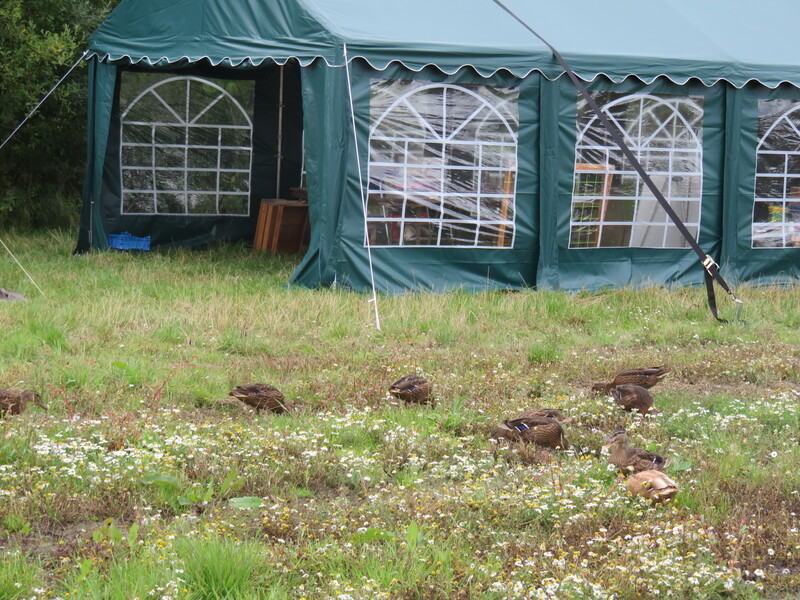 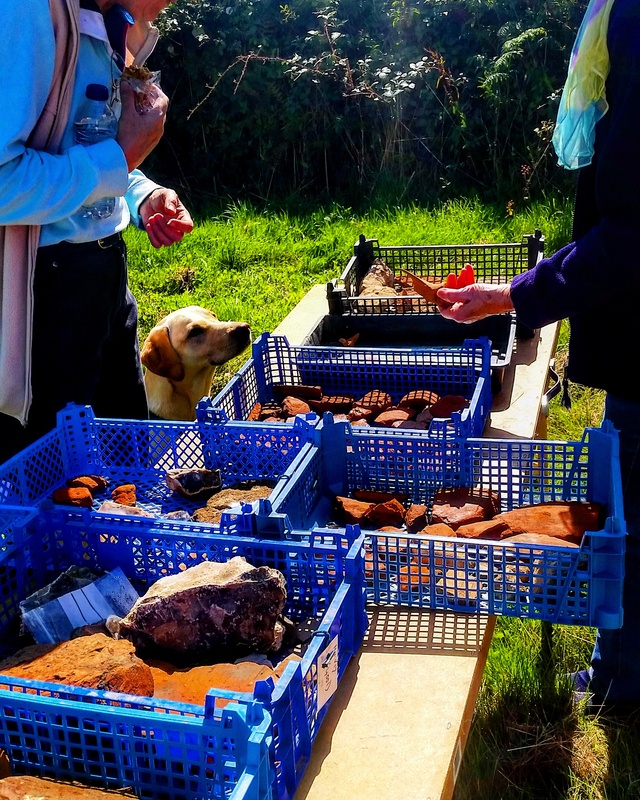 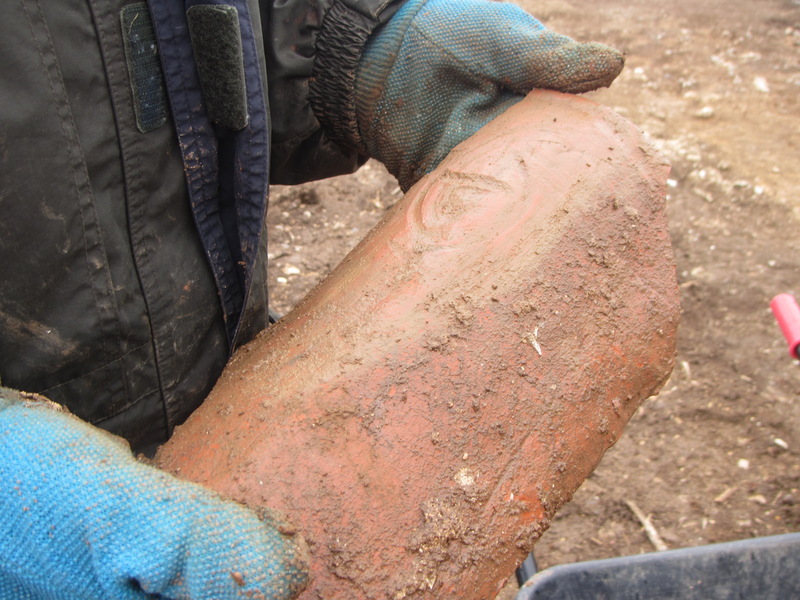 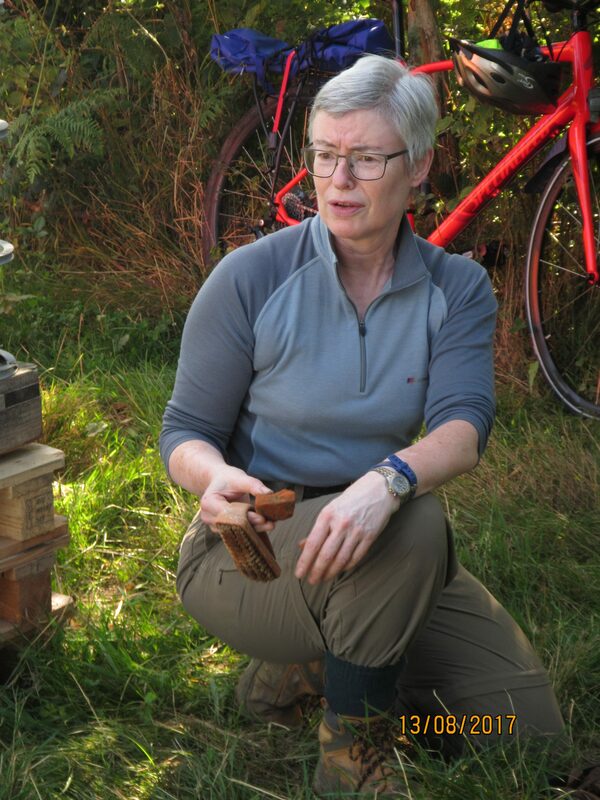 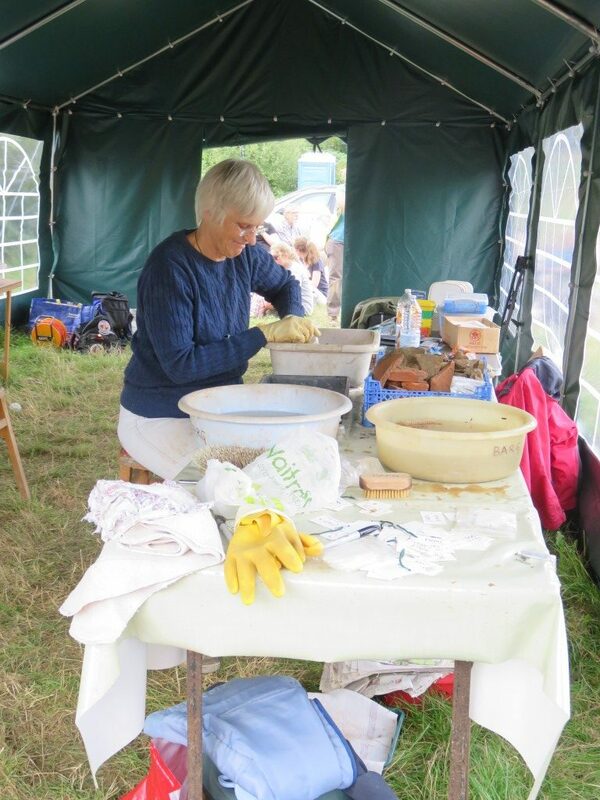 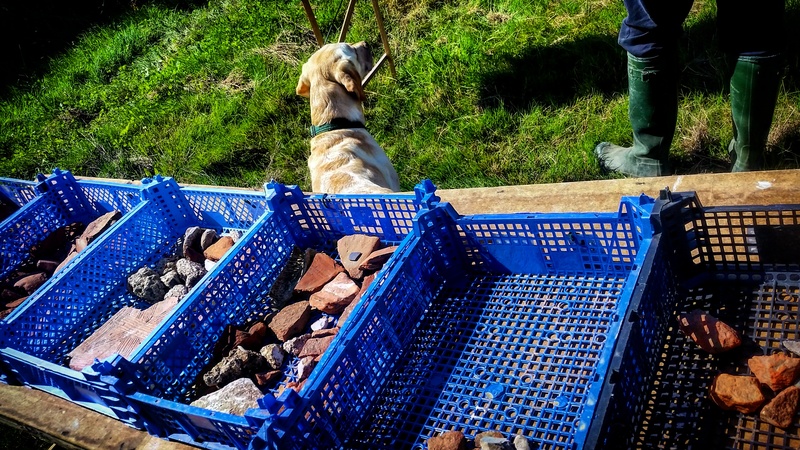 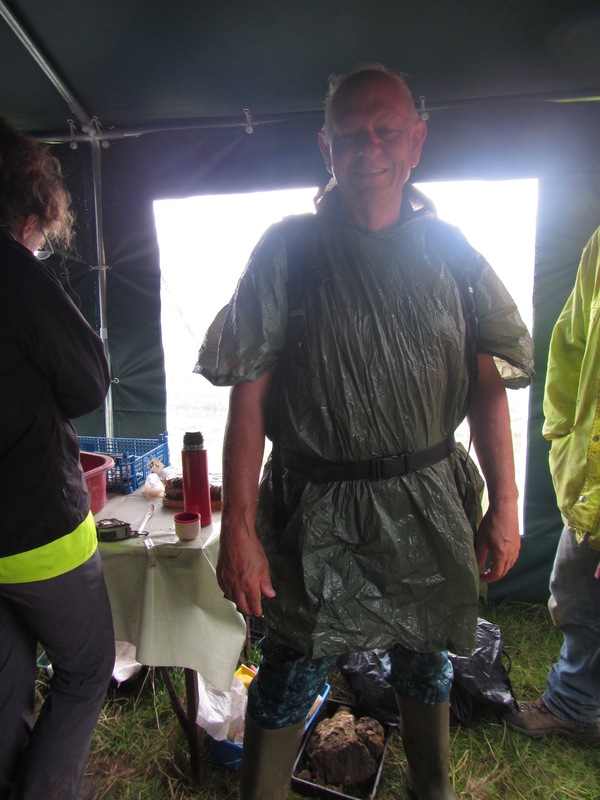 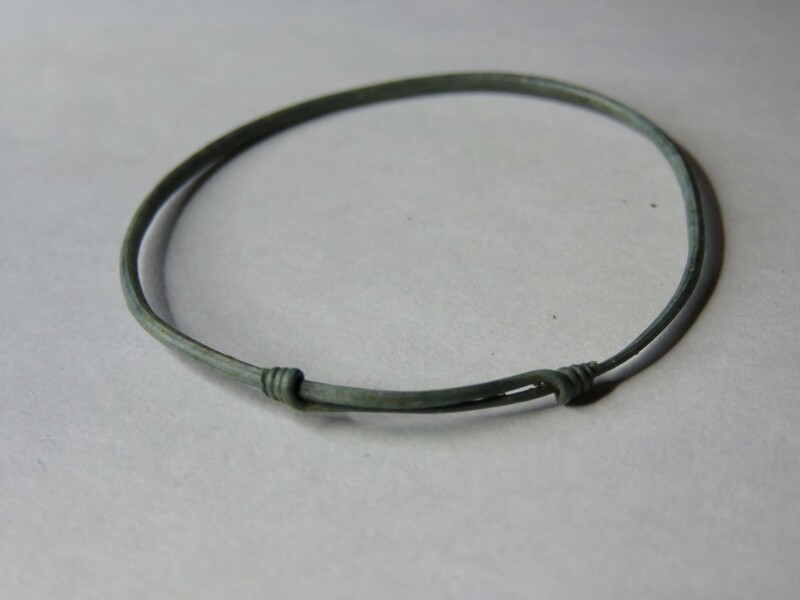 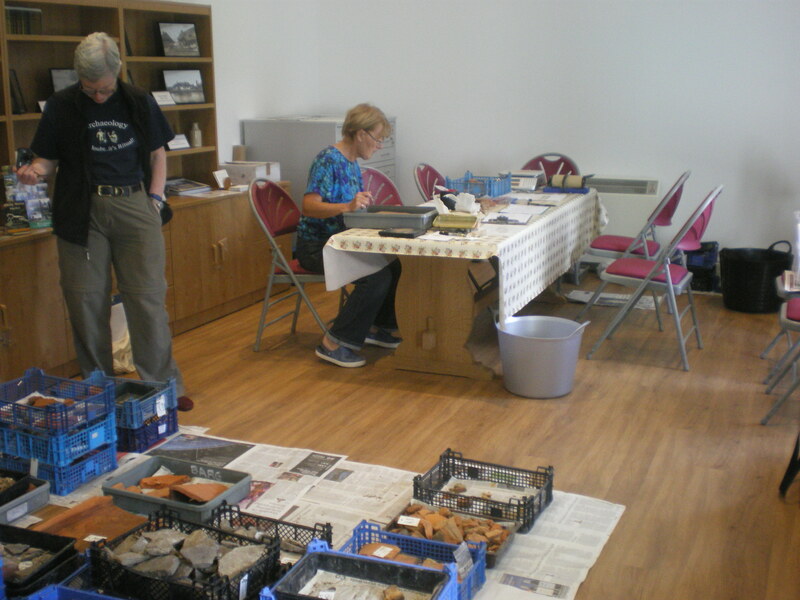 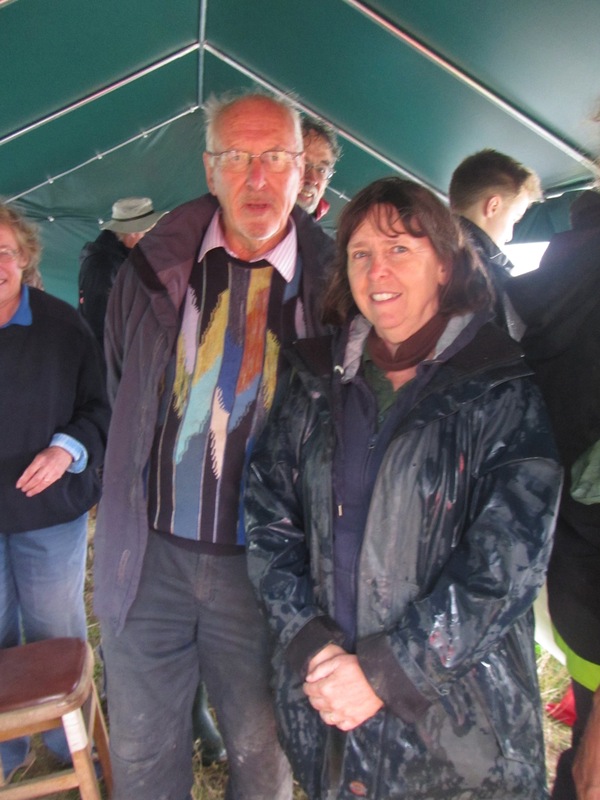 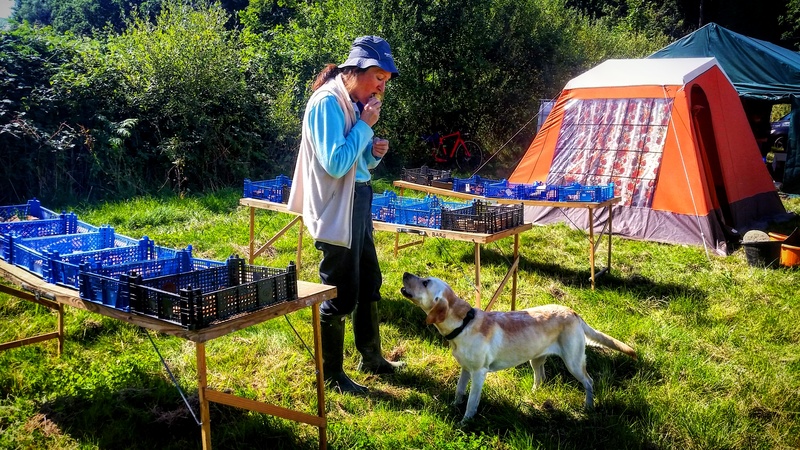 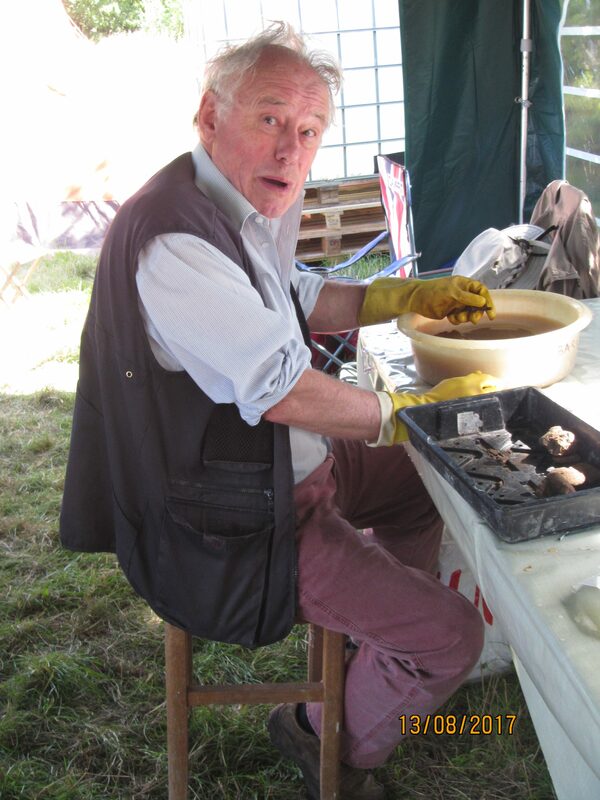 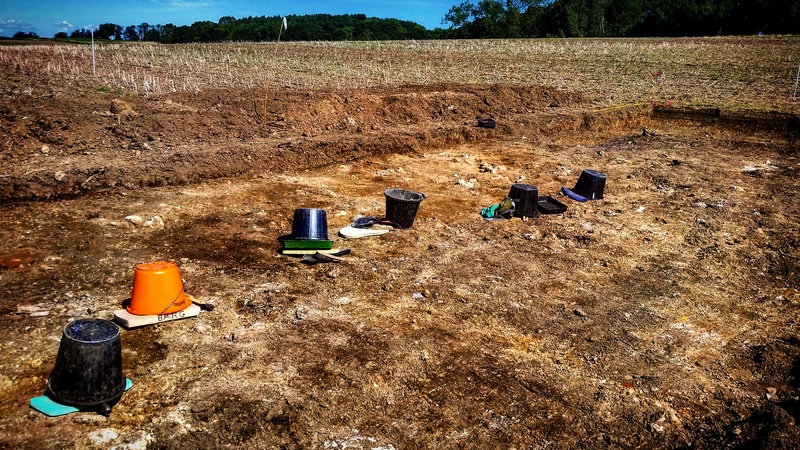 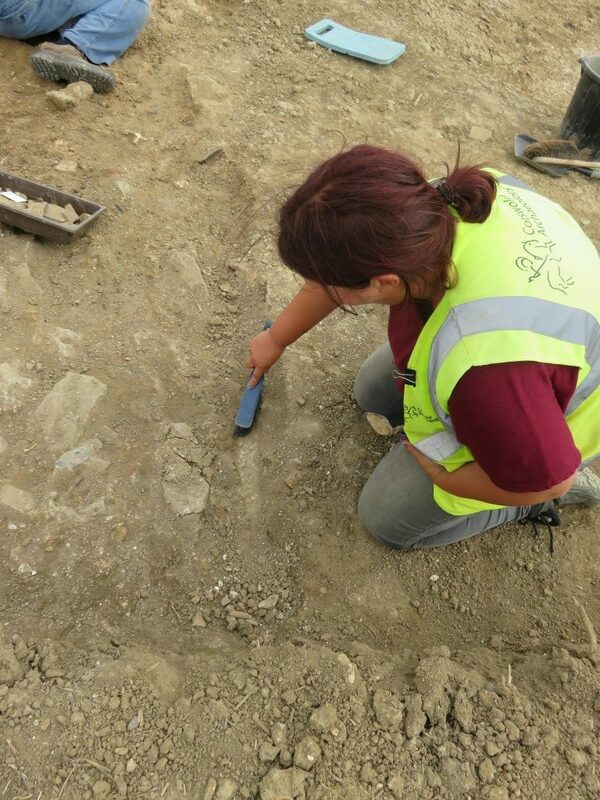 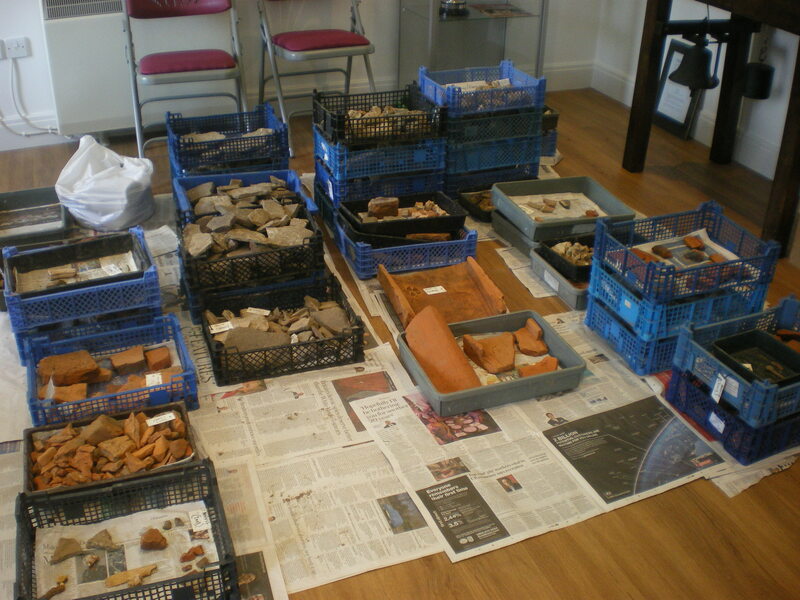 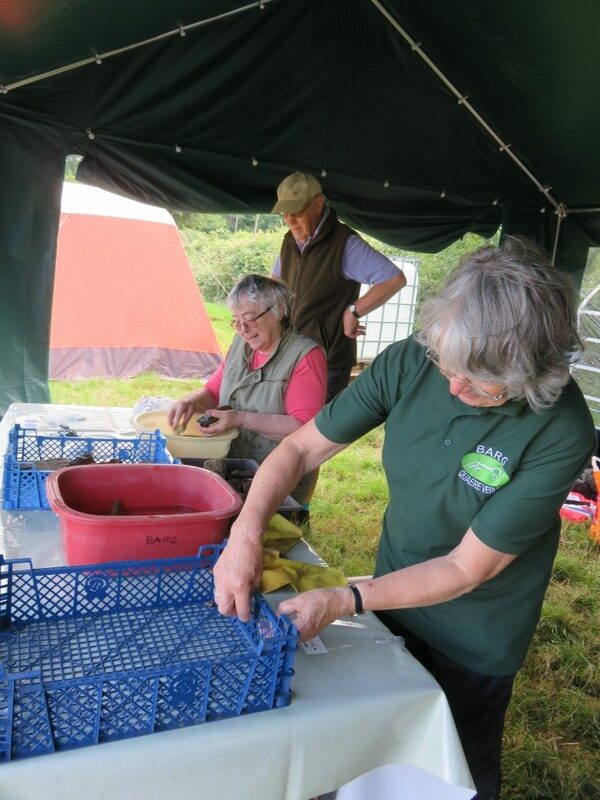 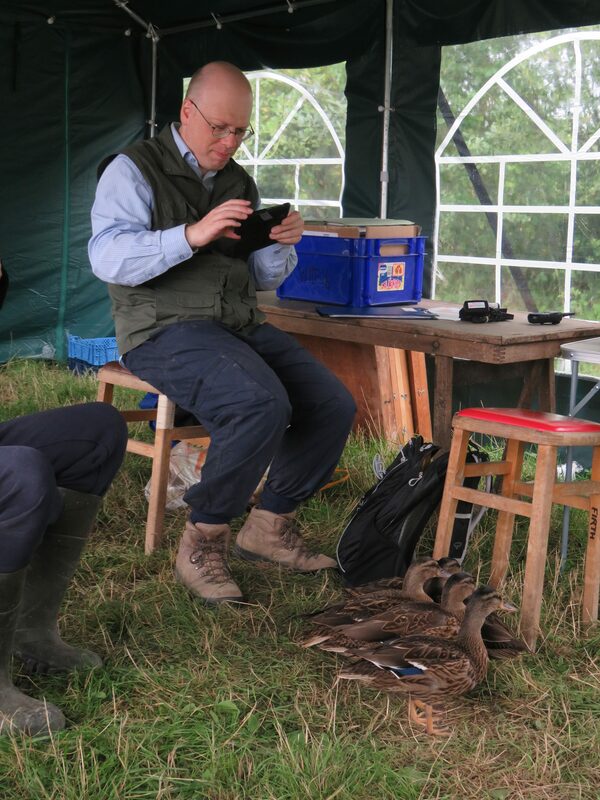 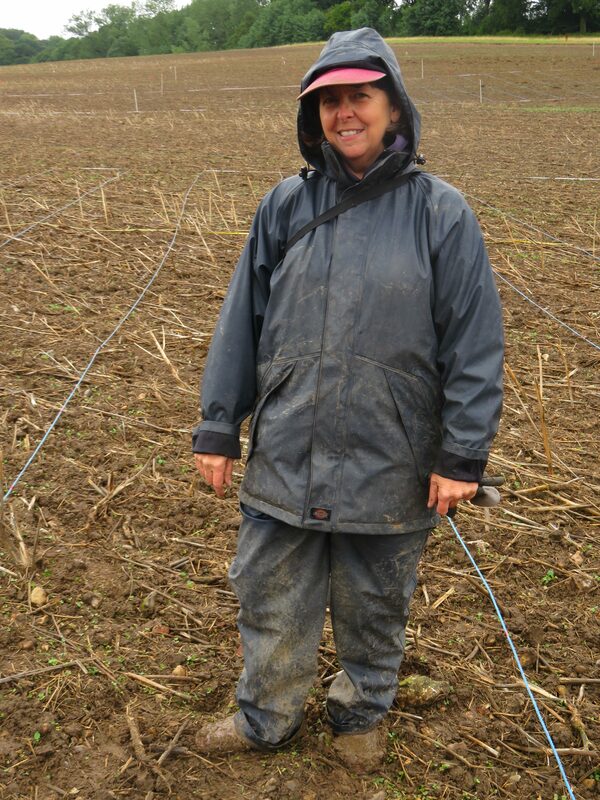 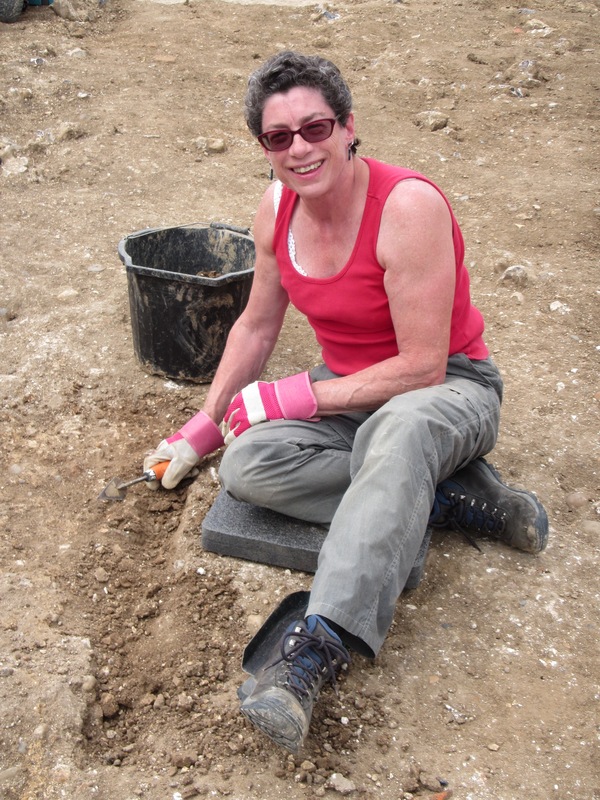 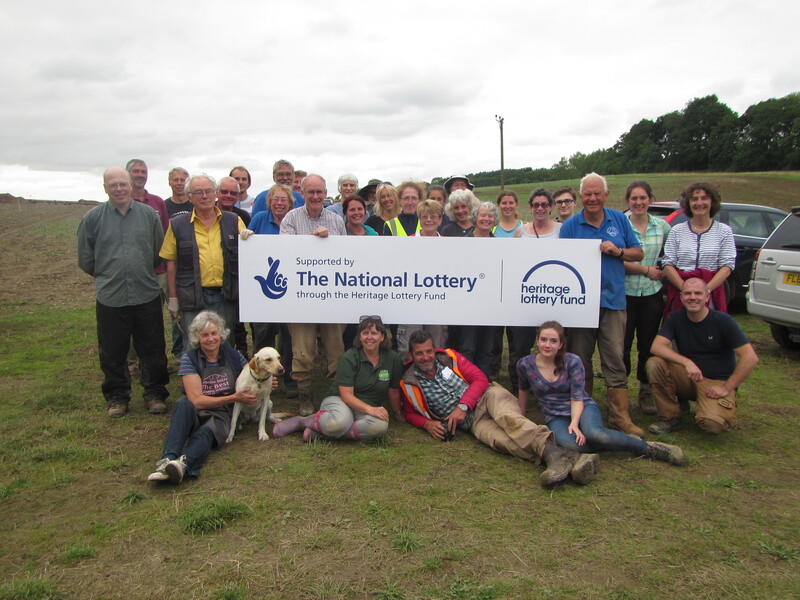 Jill one of the team of six pot washers today – needed to keep up with the number of finds coming off the site! 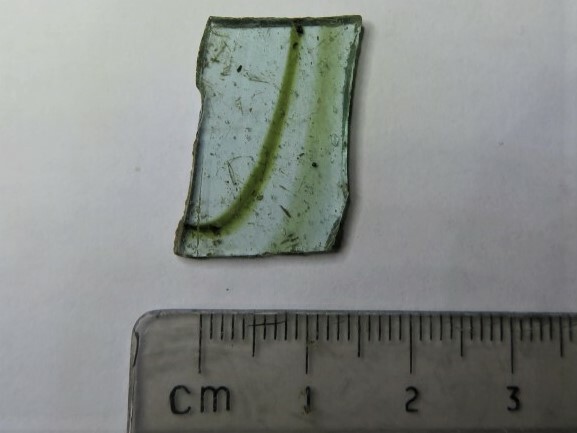 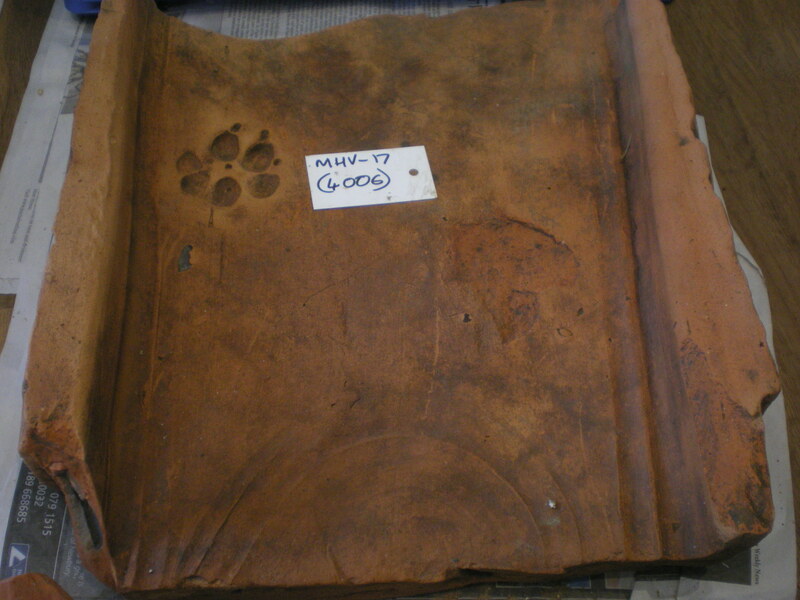 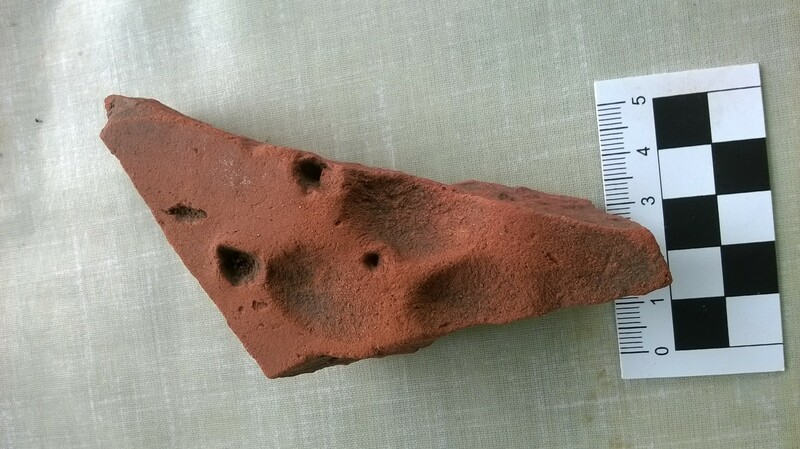 And one of Jill’s items after a wash…………a dog paw print in a tile……….pads and claw marks clearly visible…….must have been a large dog though! 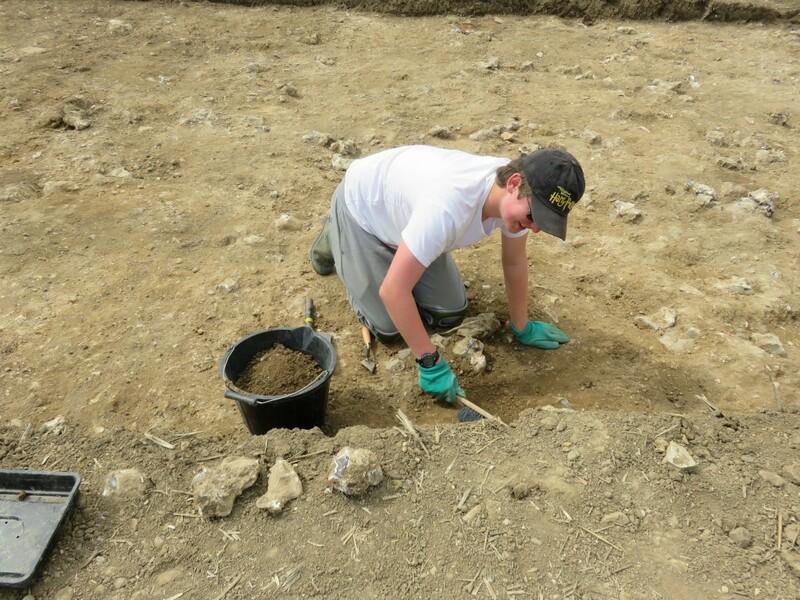 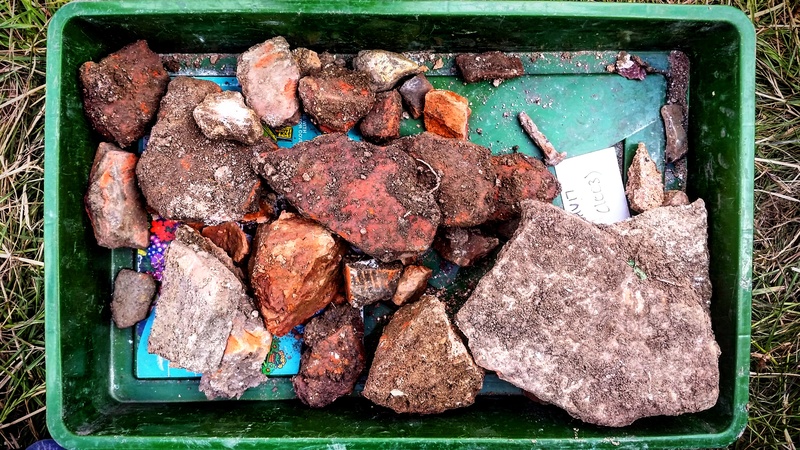 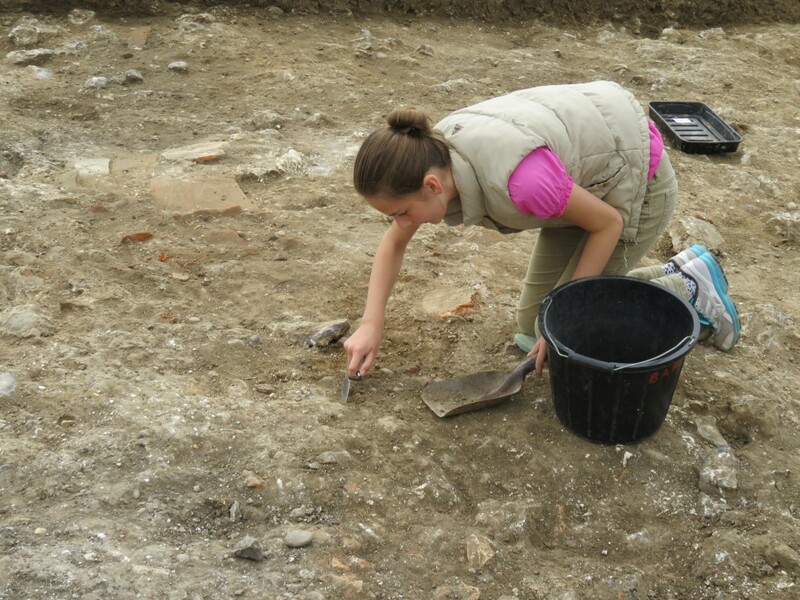 Excitement in trench 3 in the main villa as Alice uncovers more tesserae. 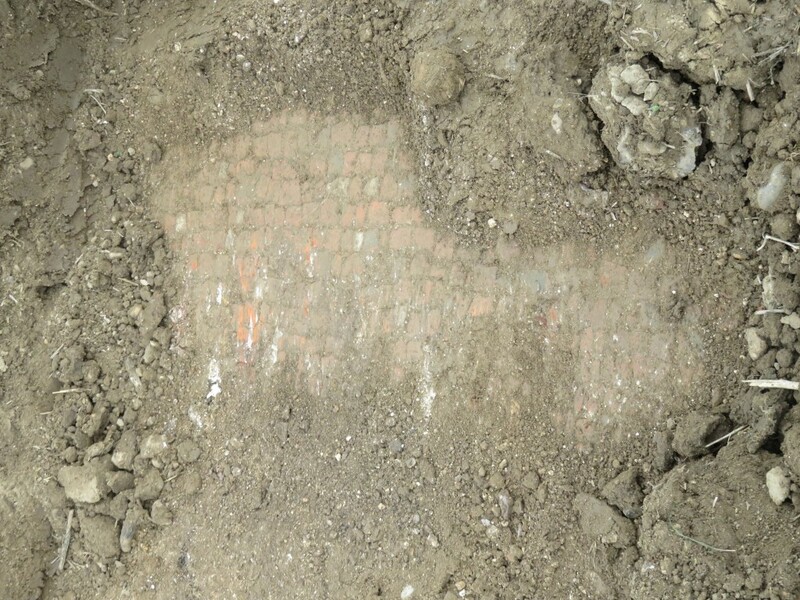 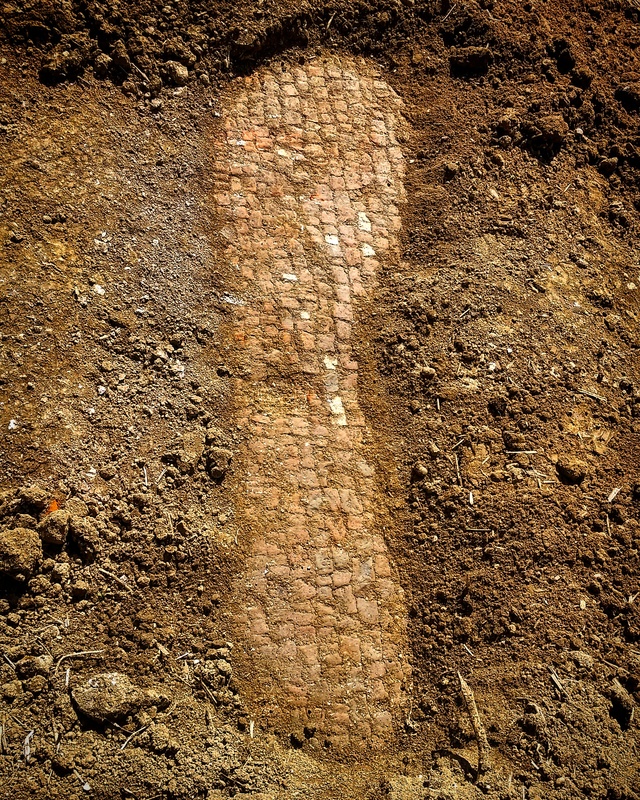 Maybe we can now call it a mosaic floor as opposed to a tessellated floor as there is more than one colour! 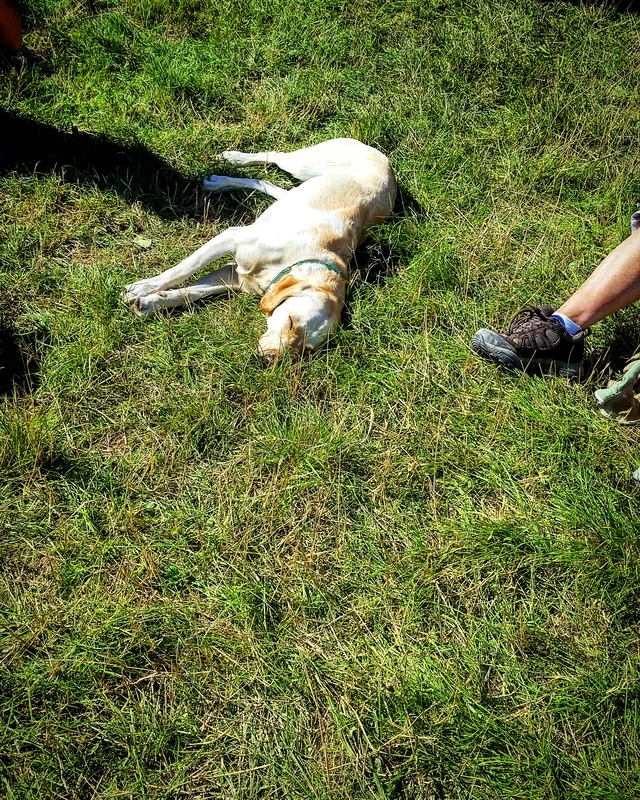 Photos courtesy of Lindsey and Jill.